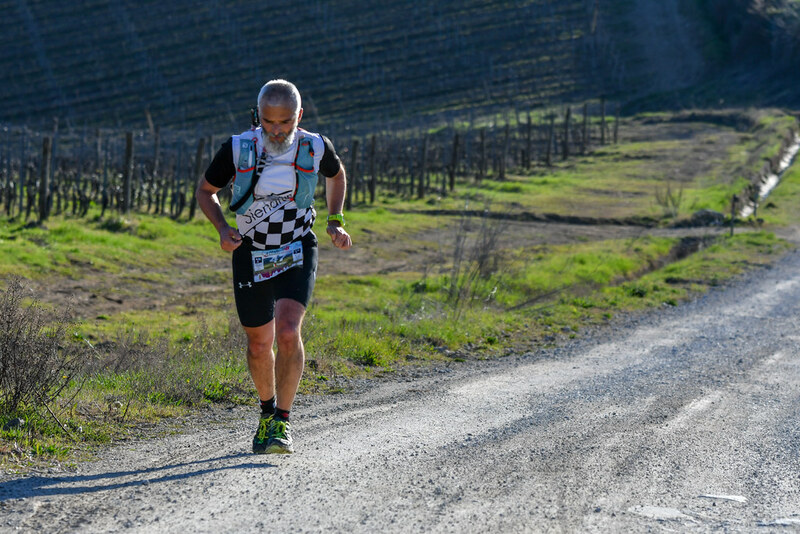 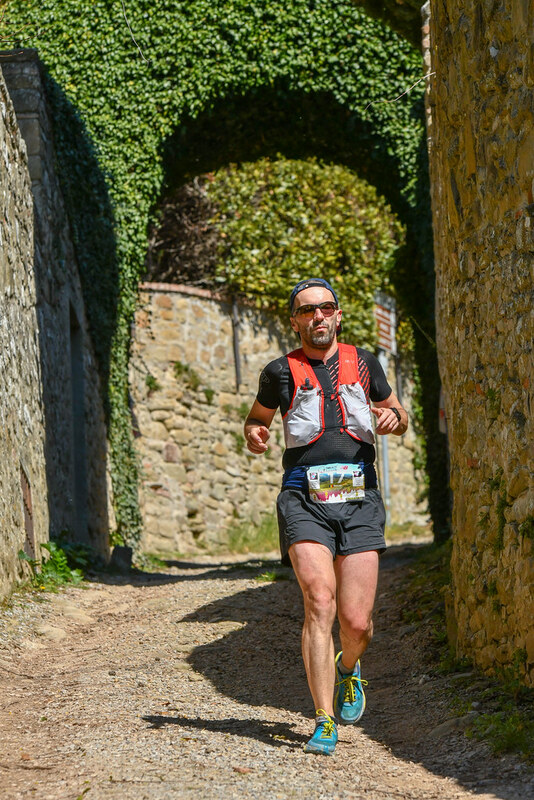 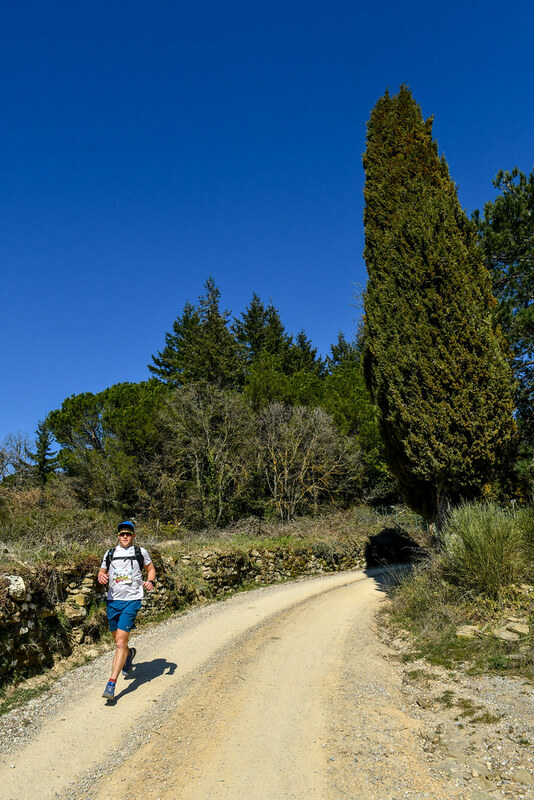 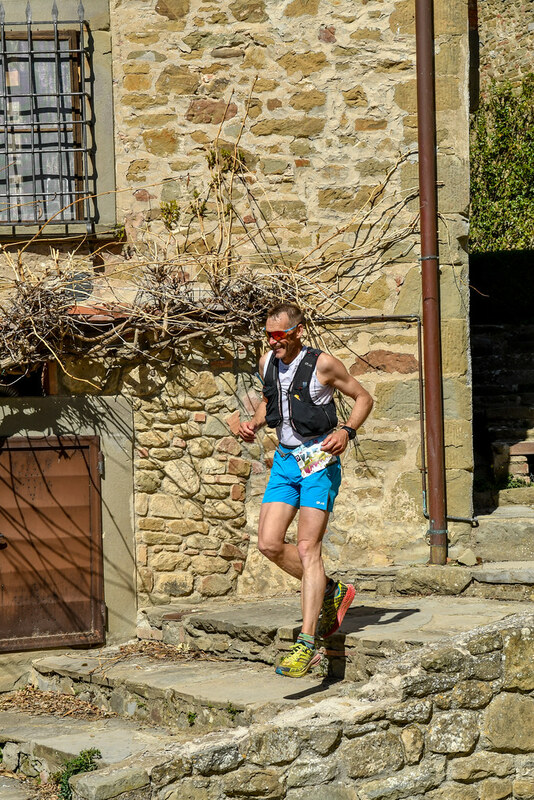 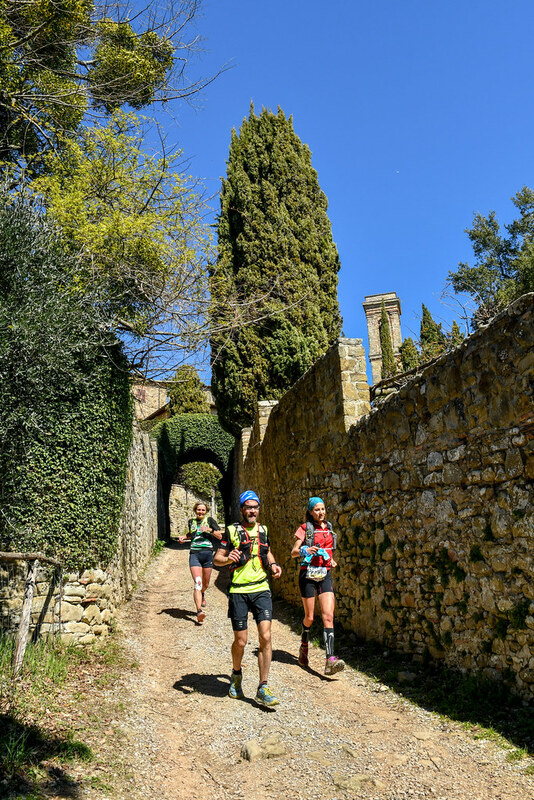 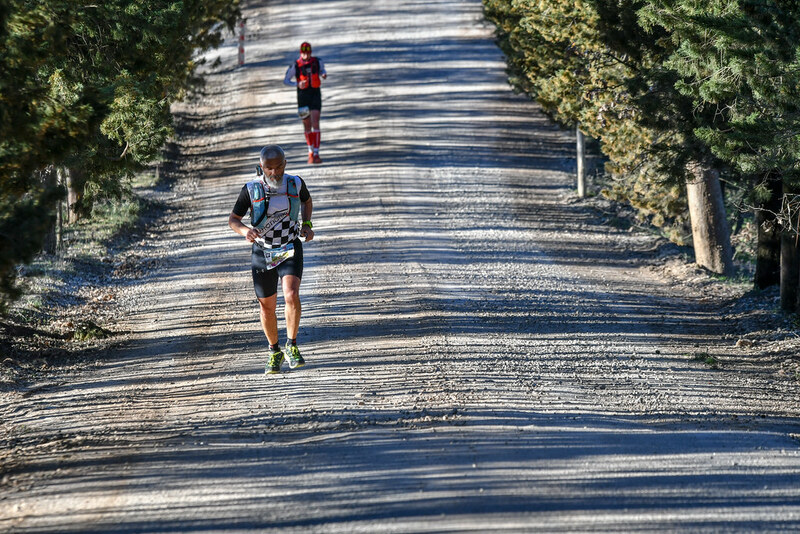 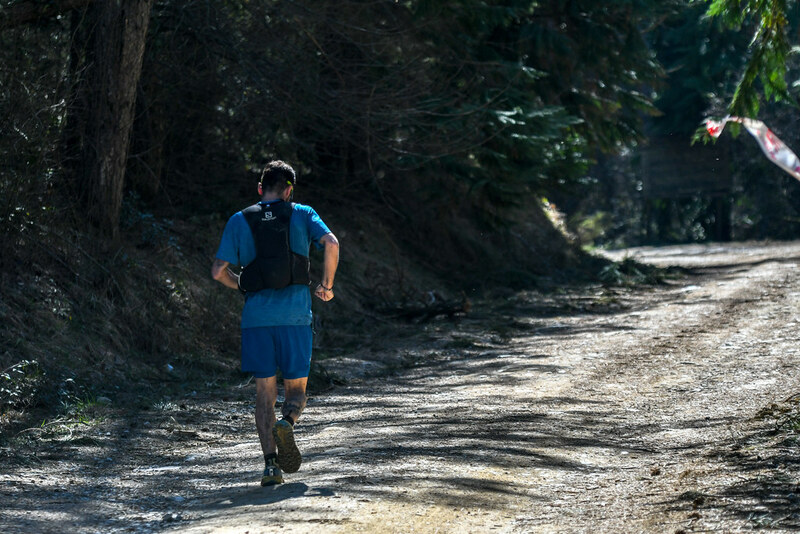 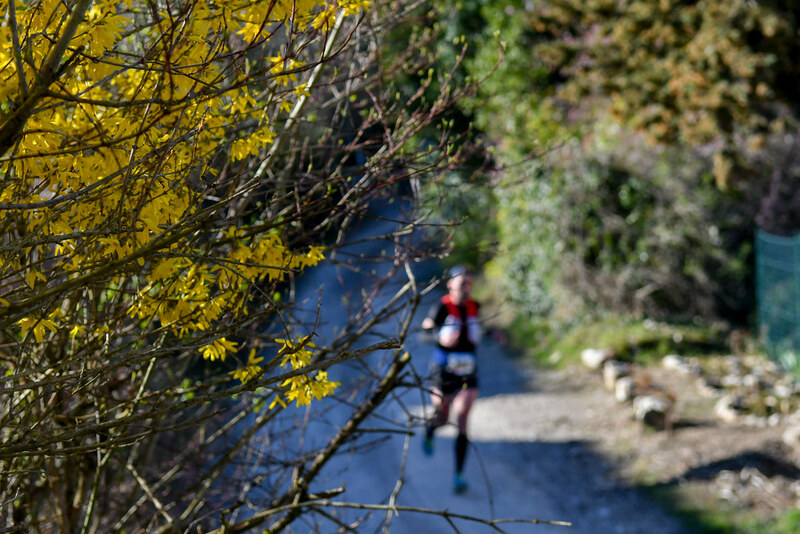 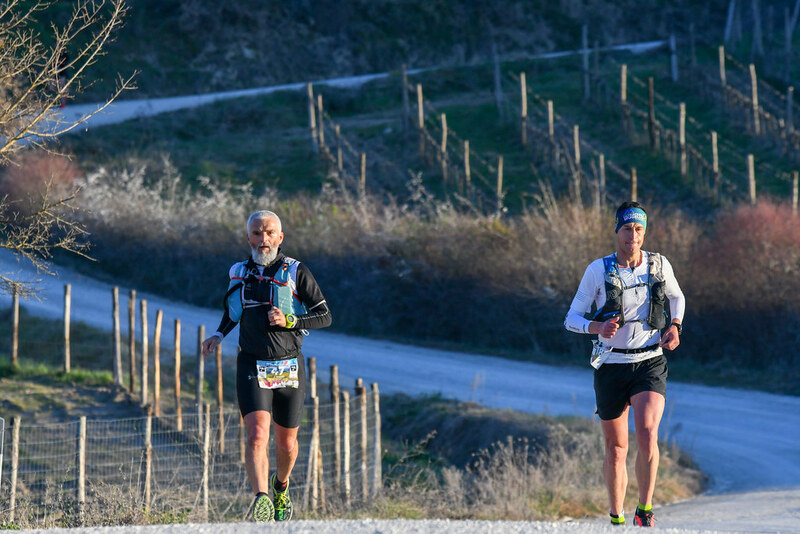 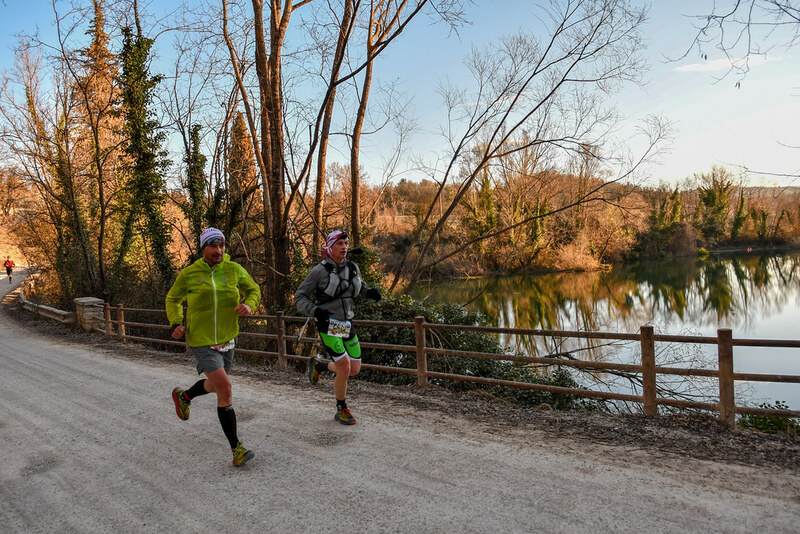 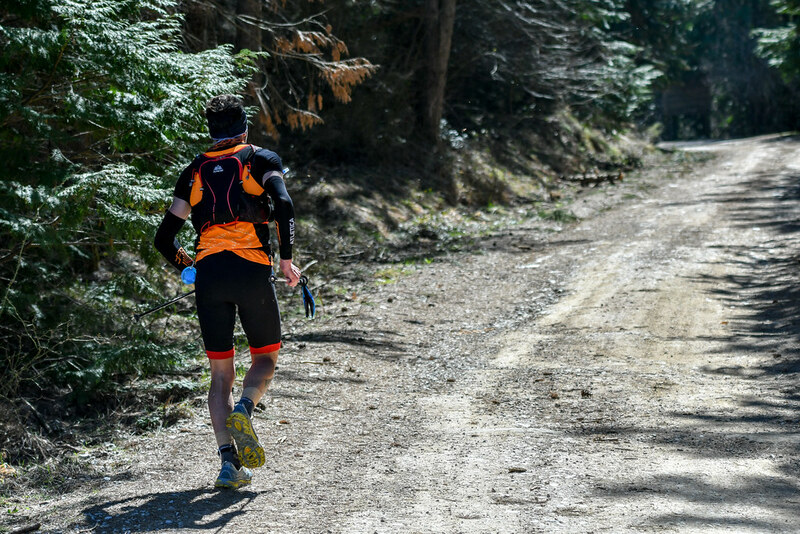 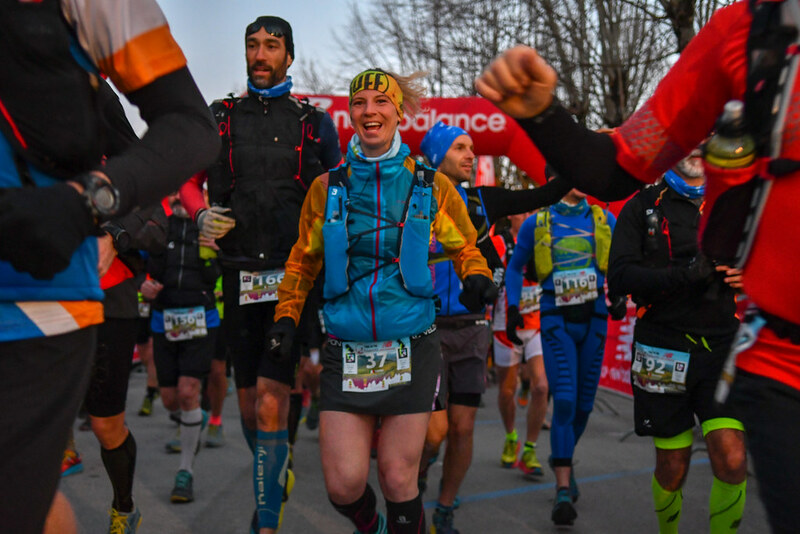 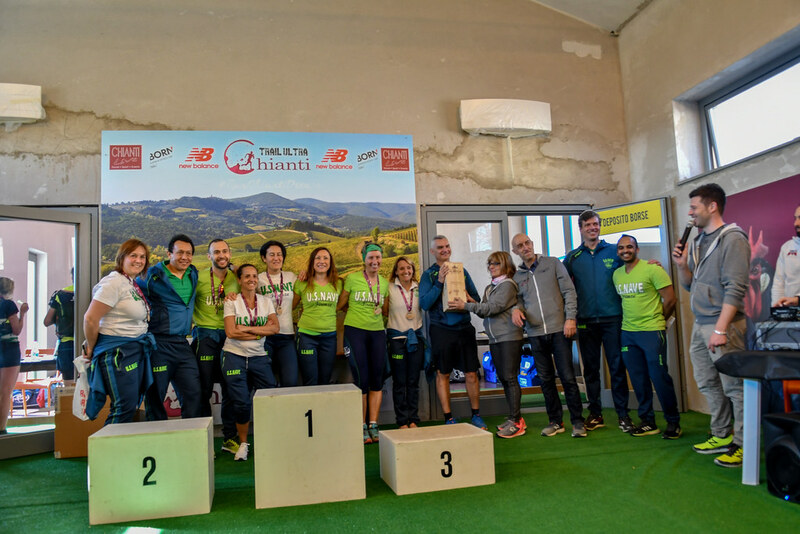 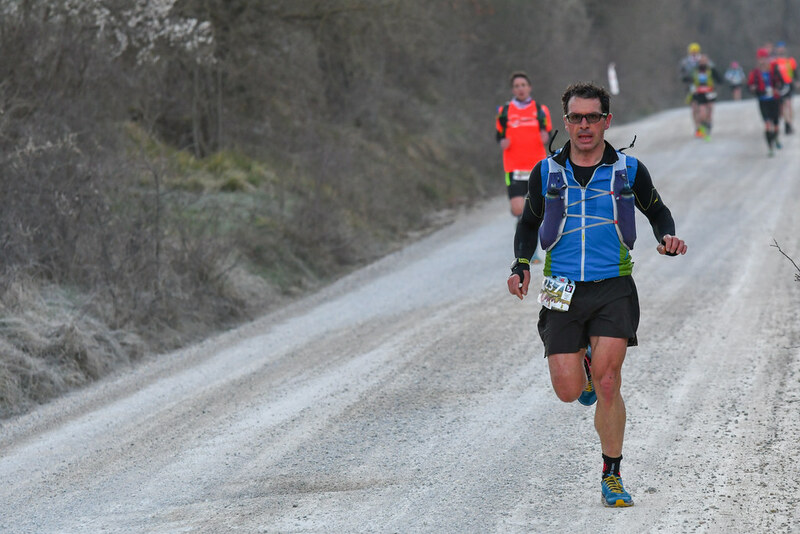 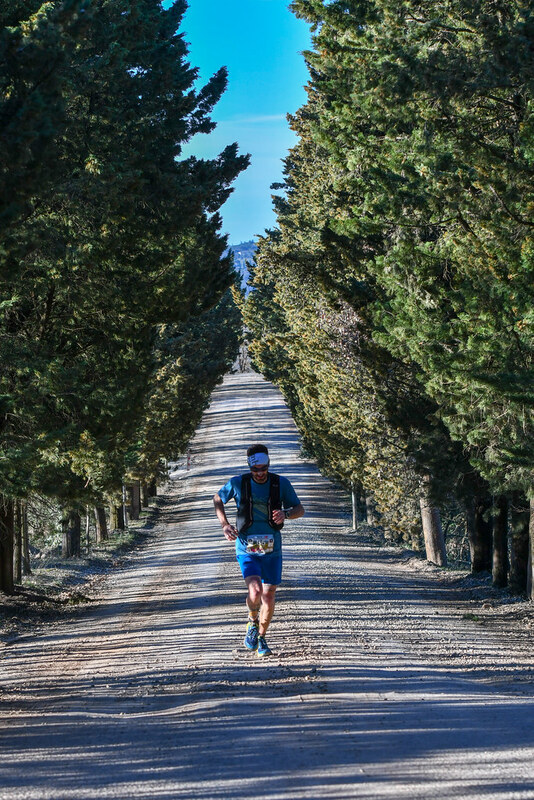 ADVENDURE - Chianti Trail Ultra 2019: Chianti's raw tranquility! 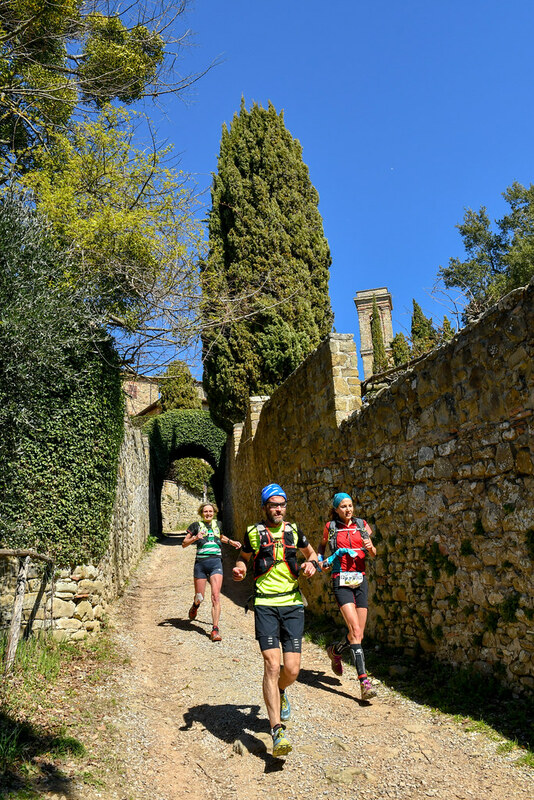 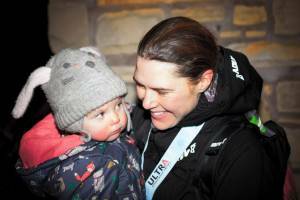 Chianti Trail Ultra 2019: Chianti's raw tranquility! 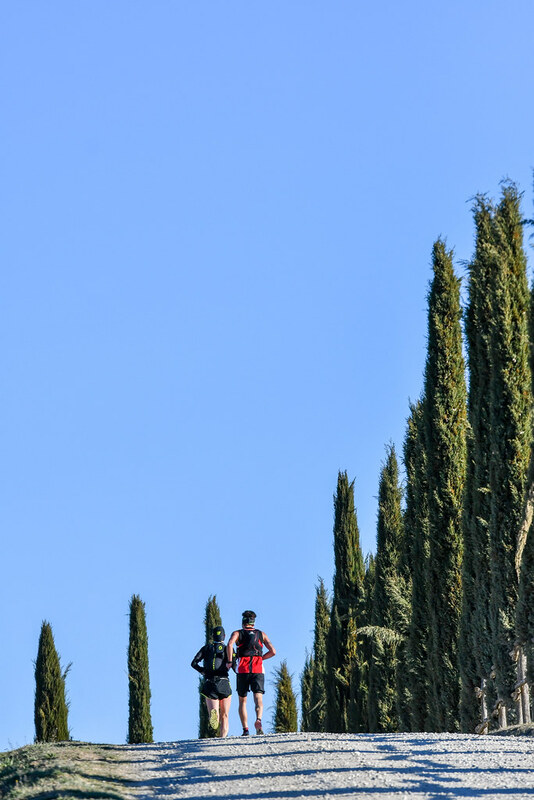 Every place that succeeds in leaving a special feeling to our soul definitely has one or more traits that make it stand out. 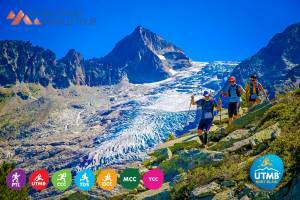 Imposing mountains, big, fascinating cities with crowds of people and impressive constructions, or islands with their sun and sea breeze. 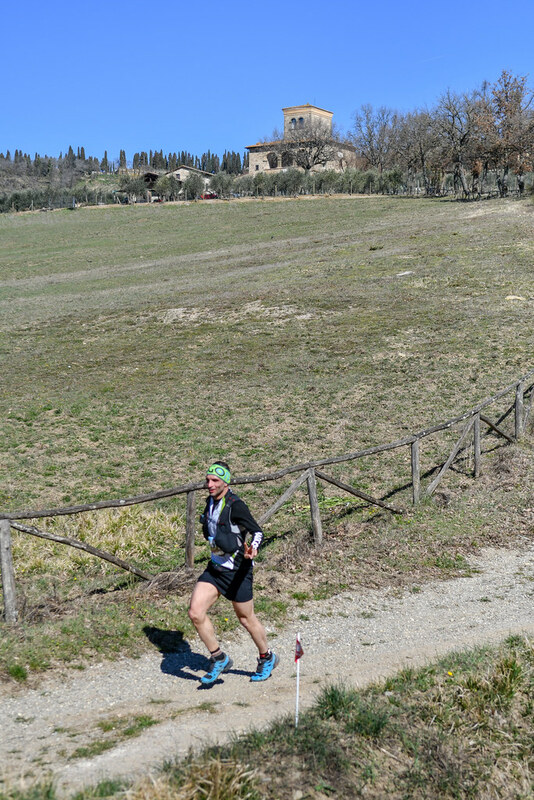 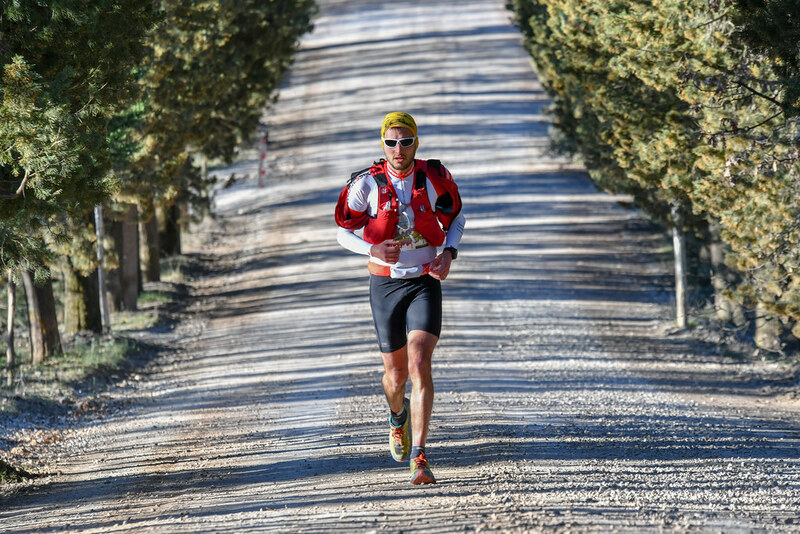 Returning to Greece after my second participation in Chianti Trail Ultra 2019, I was thinking what it is that makes Tuscany, and especially Chianti, addictive to those who visit it, especially for a mountain running race. 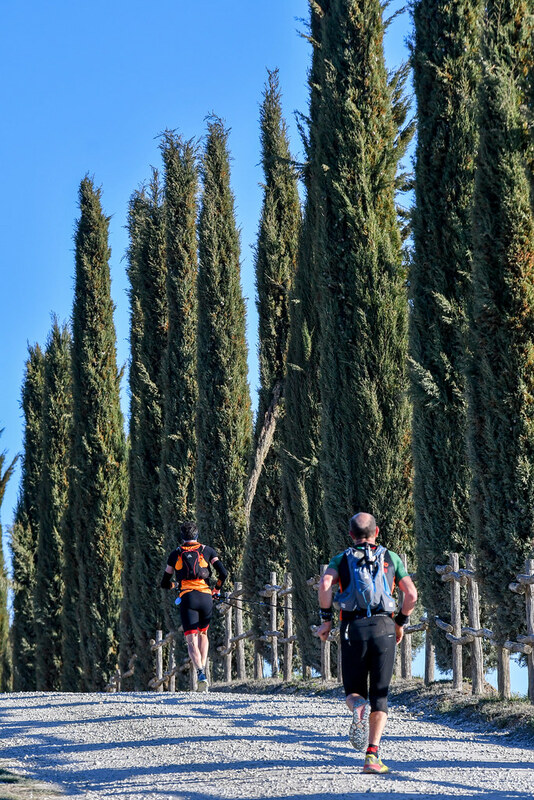 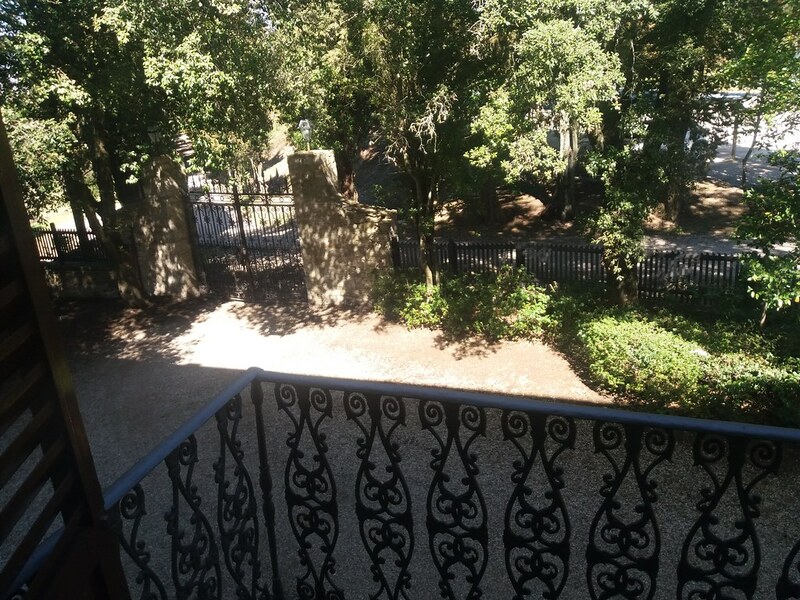 The answer was offered to me by the race itself: by the earthen and orange soil shades and the first sunbeams of the dawn creating a picture of raw tranquility in a landscape of vineyards and well-kept farms separated by rows of cypress trees. 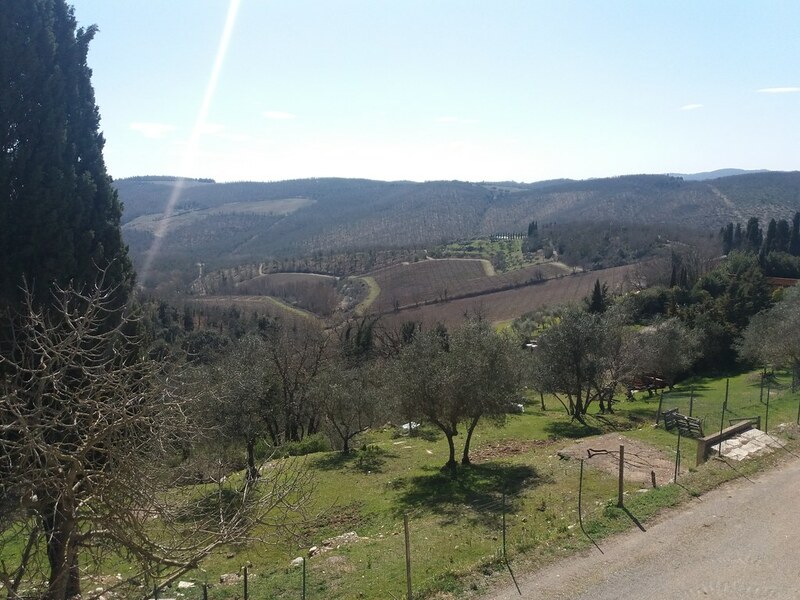 I experienced the same feeling as I tried the simple tastes of Chianti's cuisine, but also the famous wines of the region, which offer a unique treat, based on a single variety, Sangiovese, which has evolved as a living organism over the years. 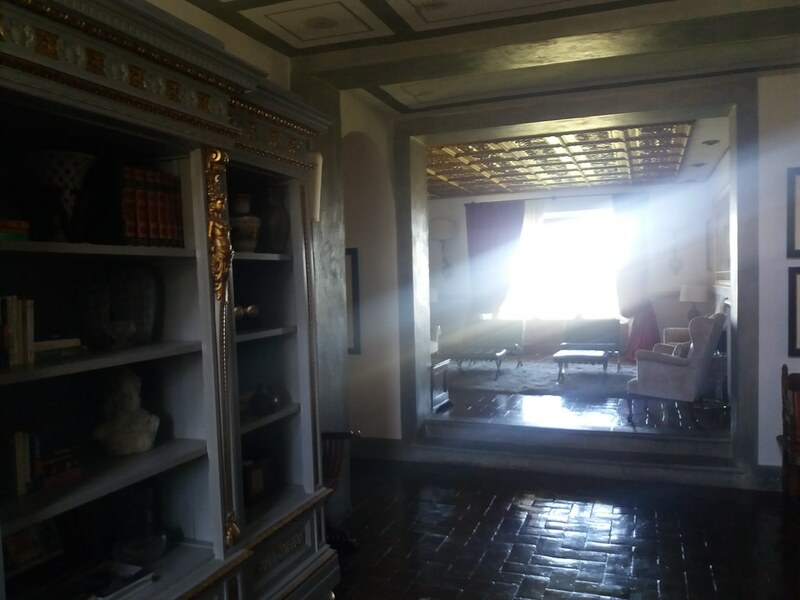 Sophisticated glow or vanity has no place here. 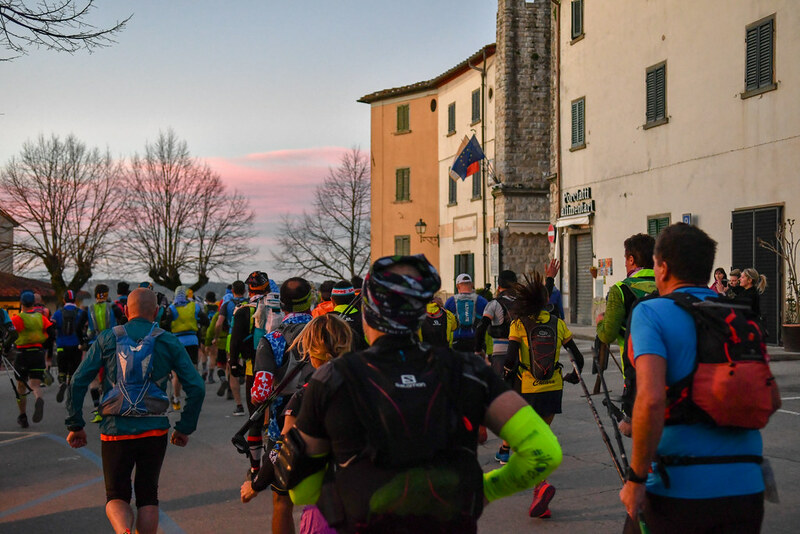 There is an innocent, unpretentious beauty in the natural environment, in the villages and in tastes, which one experiences while crossing the whole area during the races of the event, at the same time enjoying a beautiful weekend at Radda in Chianti. 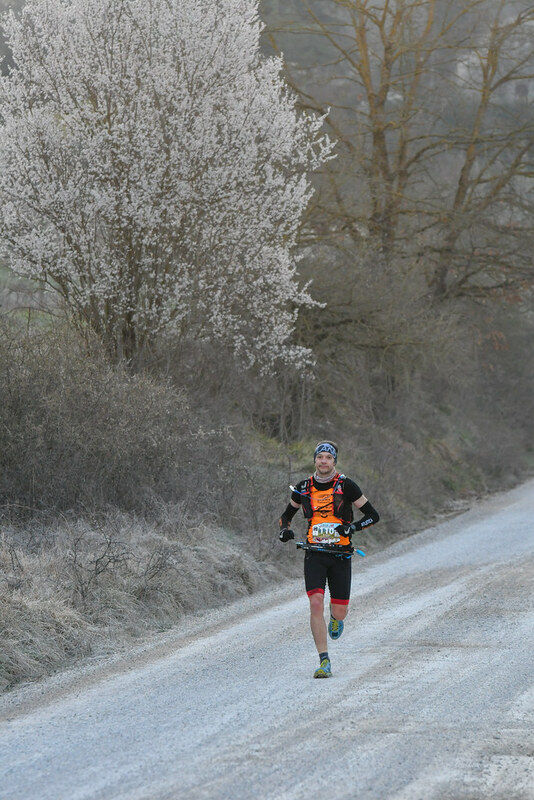 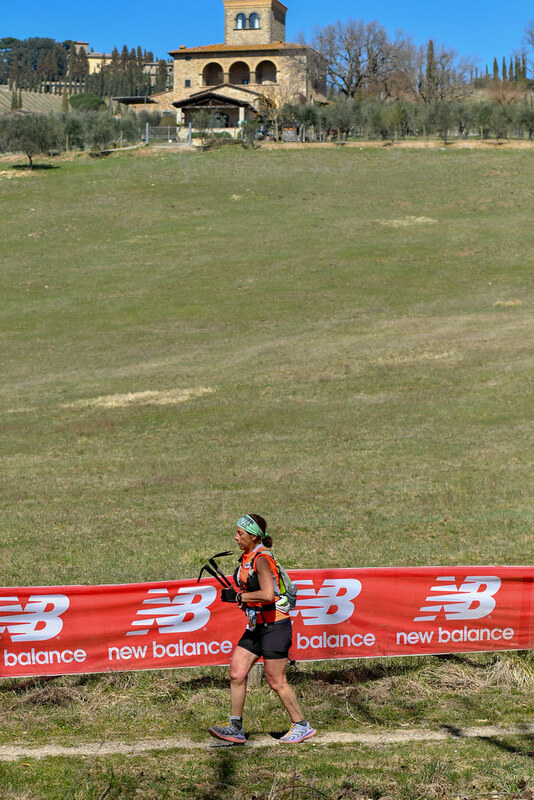 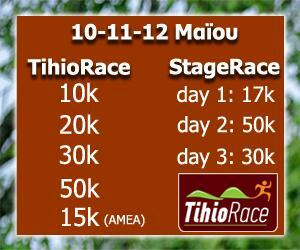 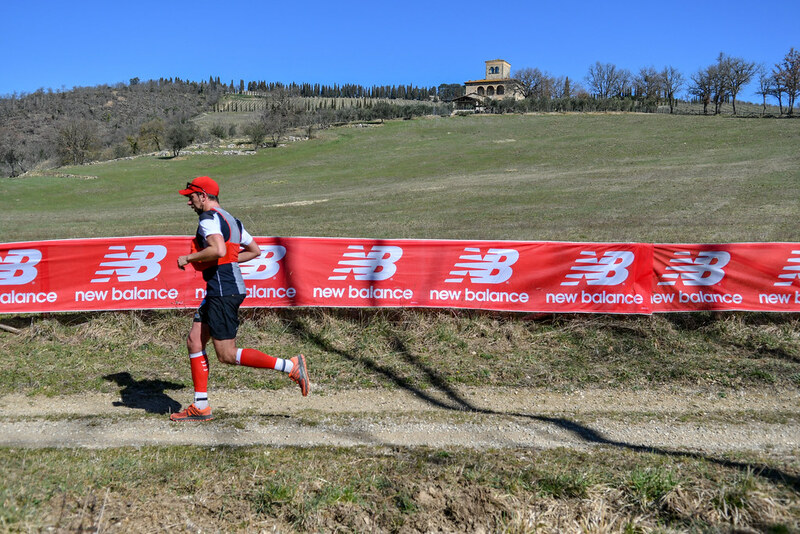 Last year, during the first Chianti Trail Ultra, low temperatures and mud in the trails was the predominant feature. 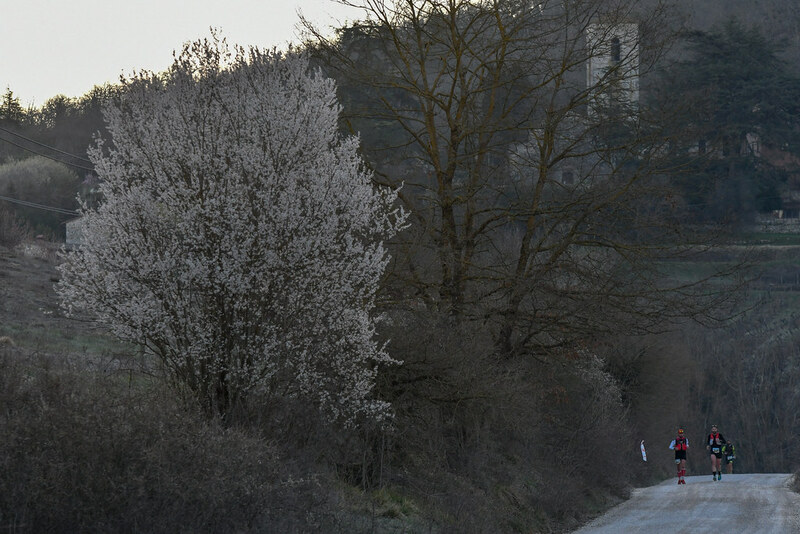 This year terms were reversed with the spring making its presence felt and the sun shining and bright throughout the weekend. 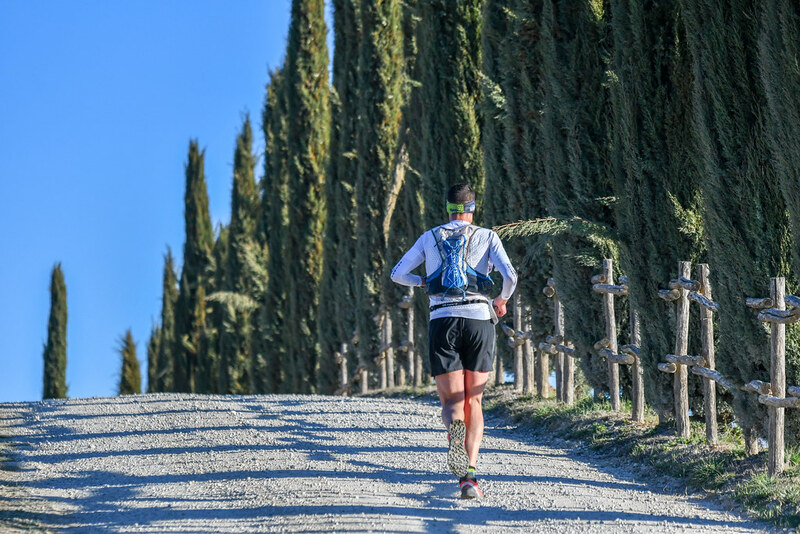 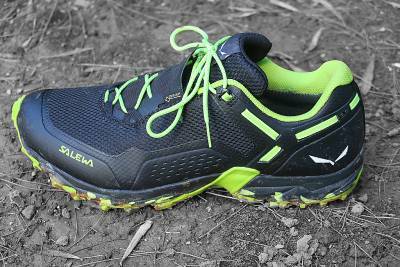 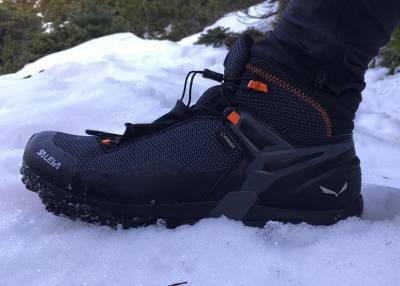 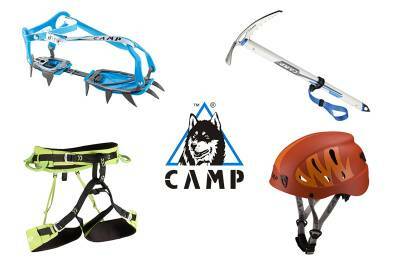 However, even so, running in the first kilometers of the route, the night frost had left its "white" trail on the grass. 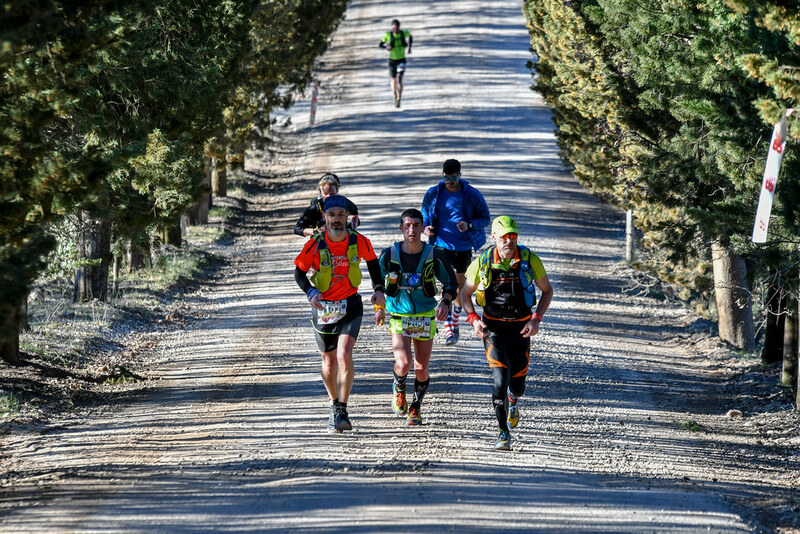 As the hours passed though, we began to realize why this period of the year is actually the most convenient for the race, since there was a feeling of heat even though we are at the end of March. 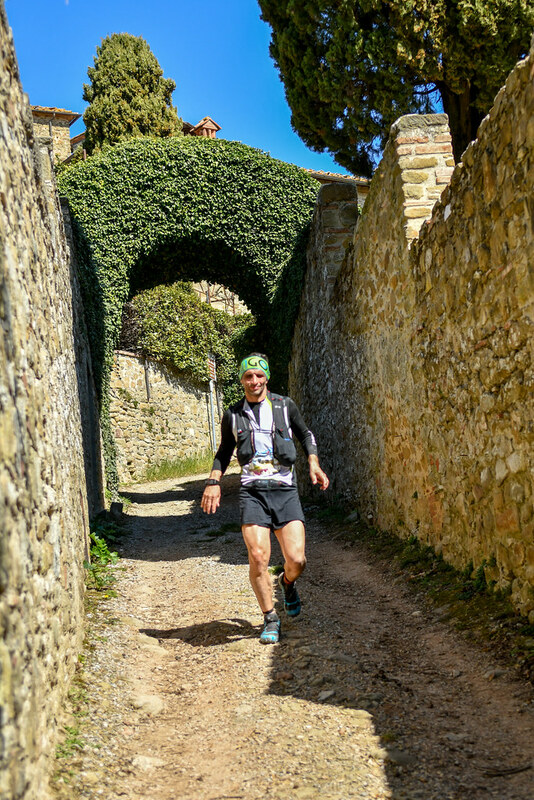 The three routes of the event (73K, 37K and 15K) run through the beautiful Tuscan countryside, passing by vineyards, farms and medieval villages like Radda in Chianti and the beautiful Castello di Volpaia, while the second and much harder part of the long route passes through the dense forests and crosses the trails of San Michelle Mountain. 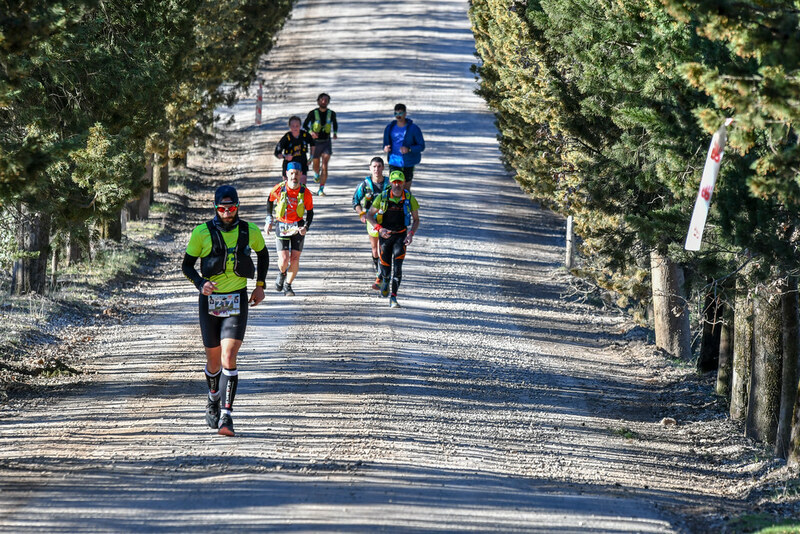 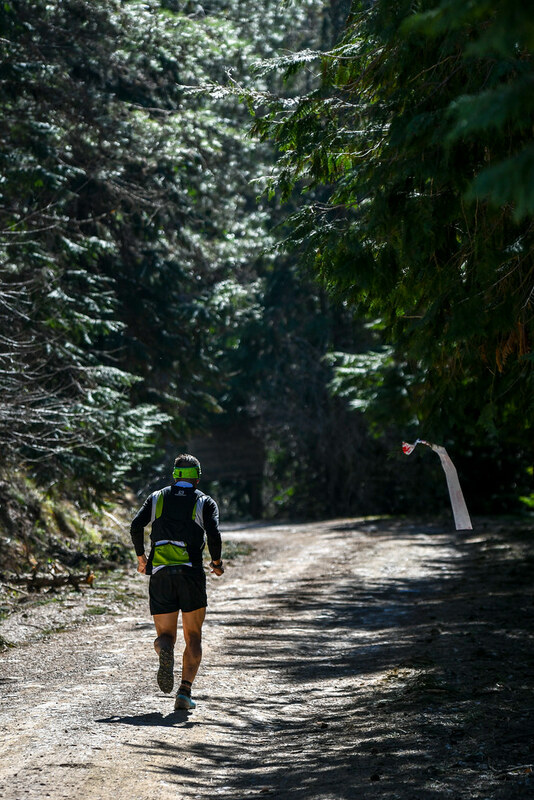 As we have pointed out in our last year’s article, the comfort of the "white" dirt tracks and the easy paths of the first half of the route alternate with the difficult, and clearly more technical, second part, leaving a feeling of Dr Jekyll & Mr Hyde to the athletes! 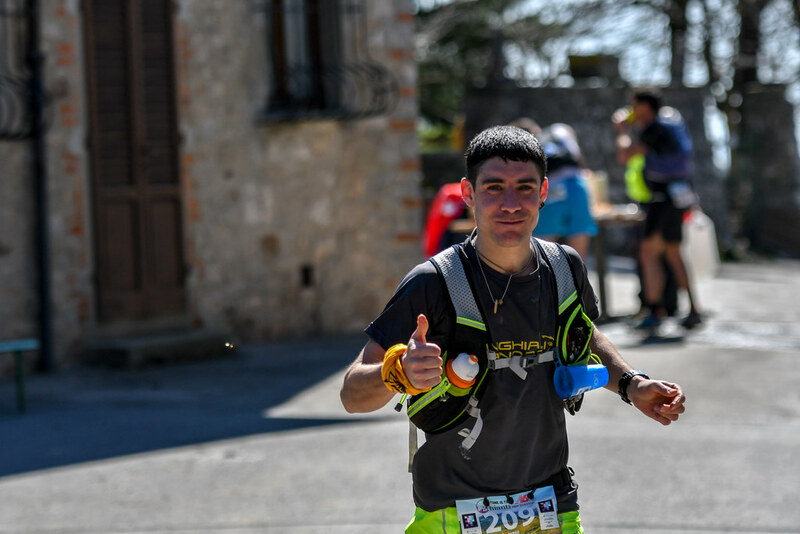 The stations were as excellent as last year, with a variety of food, refreshments, etc., while another station was added to the 20th kilometer of the long route. 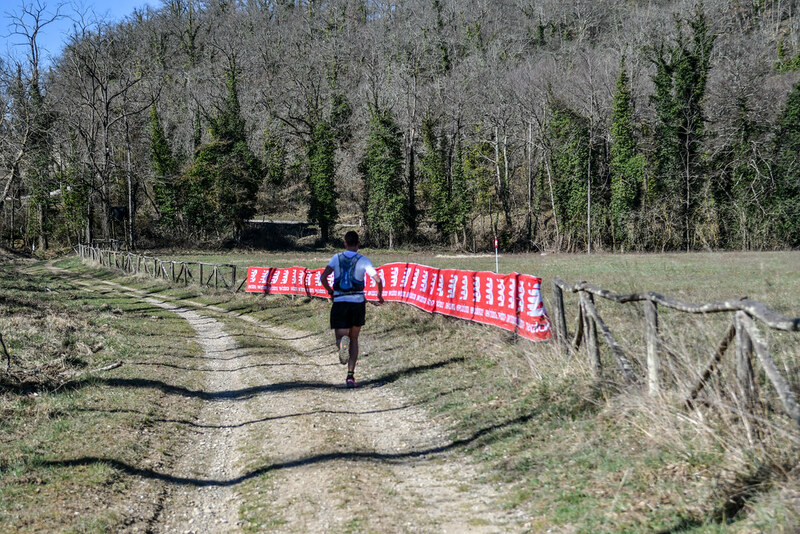 Route signs were very good and, except for an incident of a volunteer wrongly directing the first group of athletes of the big race for some time on the 37K race route, otherwise there were no considerable problems. 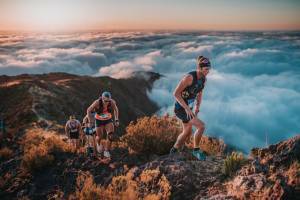 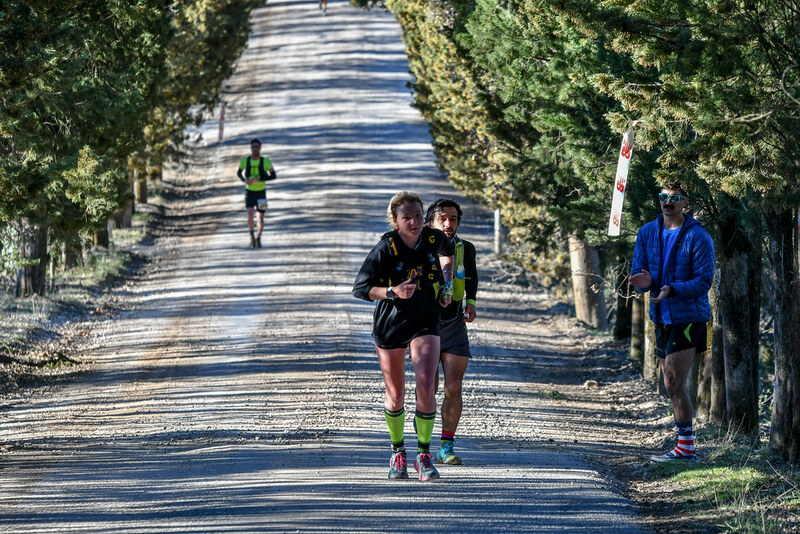 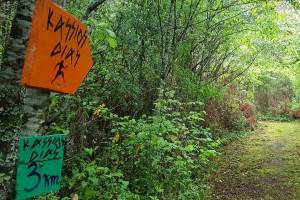 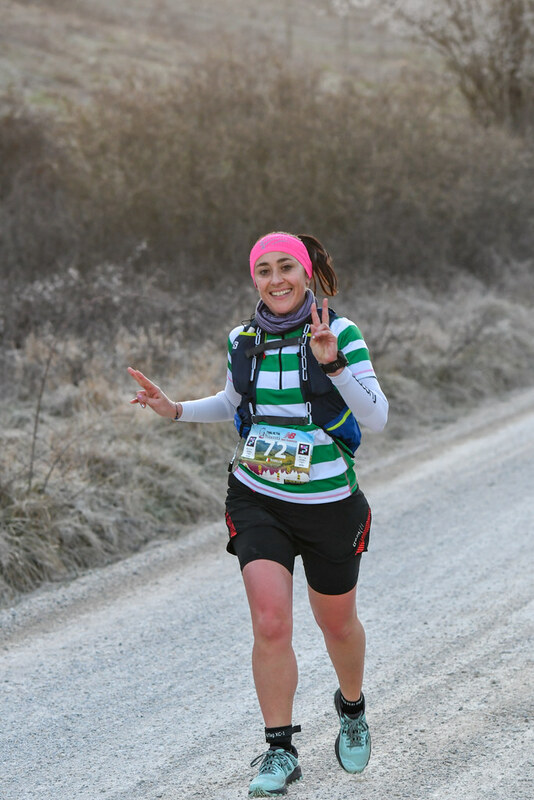 Although the area is very "fresh" in terms of trail running, this year there was a remarkably larger and warmer participation of the people around the event, which is worth noticing. 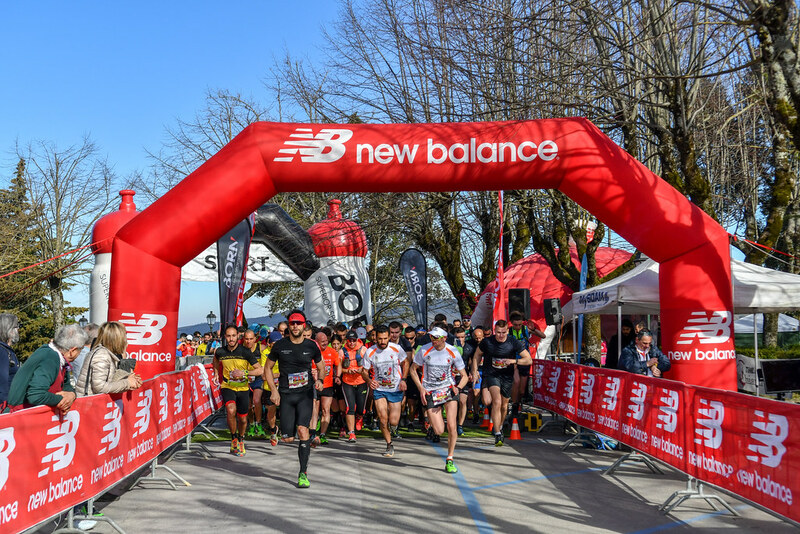 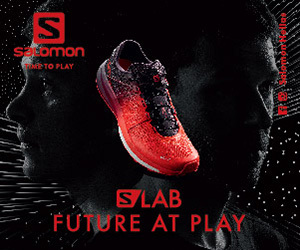 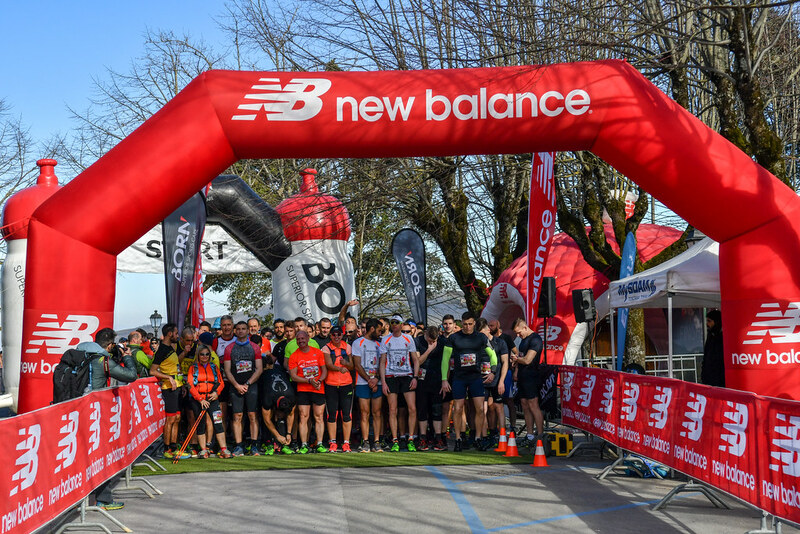 The event was in other ways also upgraded this year, with the expo - with New Balance and BORN Italia as key sponsors - taking place indoors and not on the central square of Radda in Chianti, as last year. 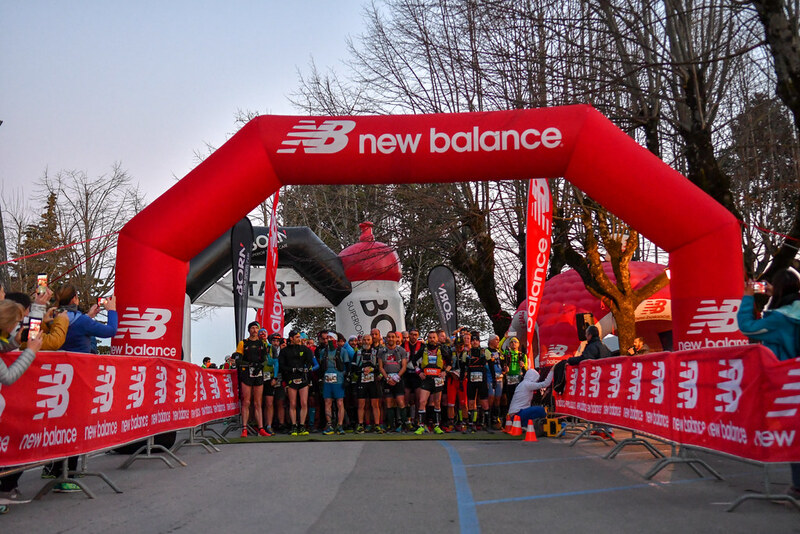 The New Balance technical shirt given to the athletes was very nice, while the buff is one of the most beautiful we have seen in a mountain running race. 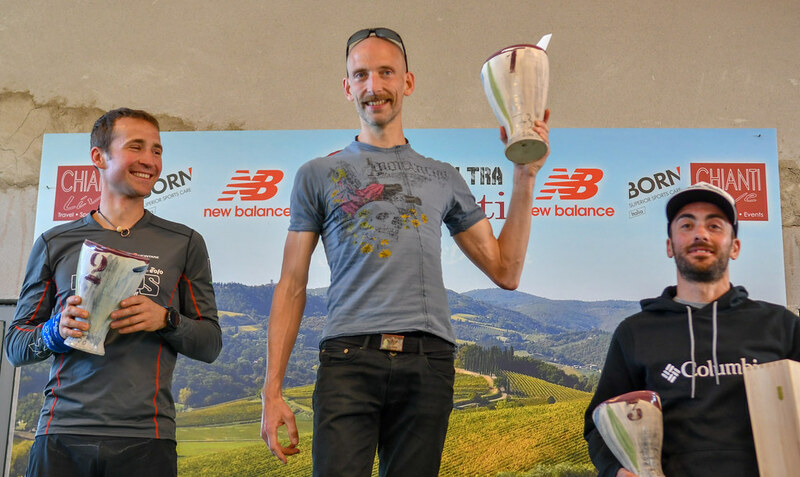 The ceramic cups / prizes for the winners of the competition were also very stylish. 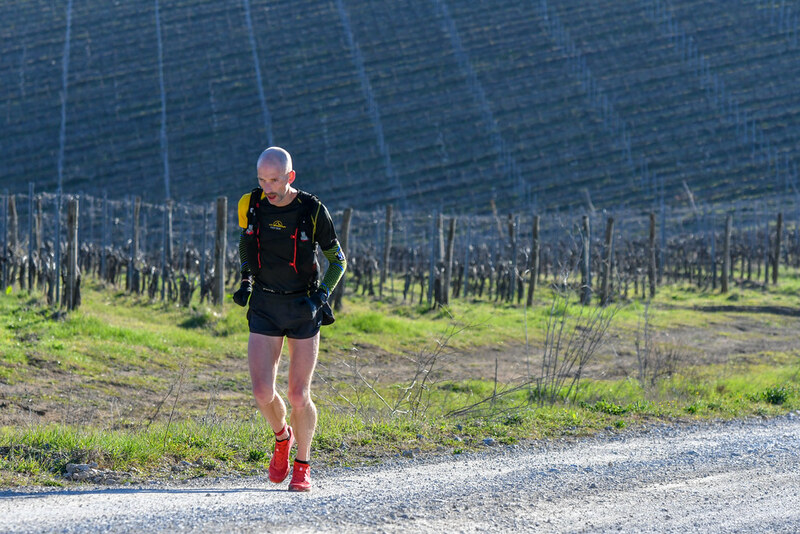 The great winner in the 73K (CUT) was Johan Carl Sorman from Sweden, with a performance of 06.28.39, while Italian Andrea Macchi (07.10.11) came second and the also Italian Domenico Giosi (07.20.32) was third. 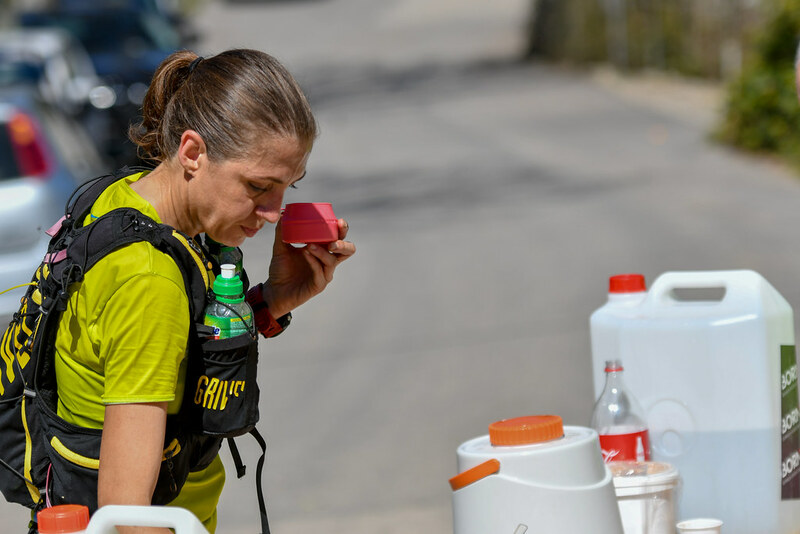 Italian Giulia Vinco, with a time of 08.32.29 (track record), won the race after a long battle, while the also Italian Simona Pievani finished second with 8.34.02 and the American Alyssa Clark third, with a time of 8.36.12. 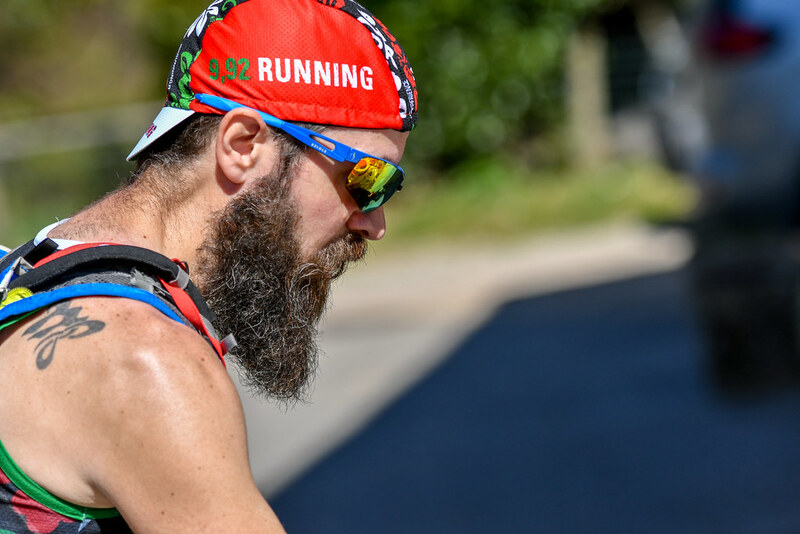 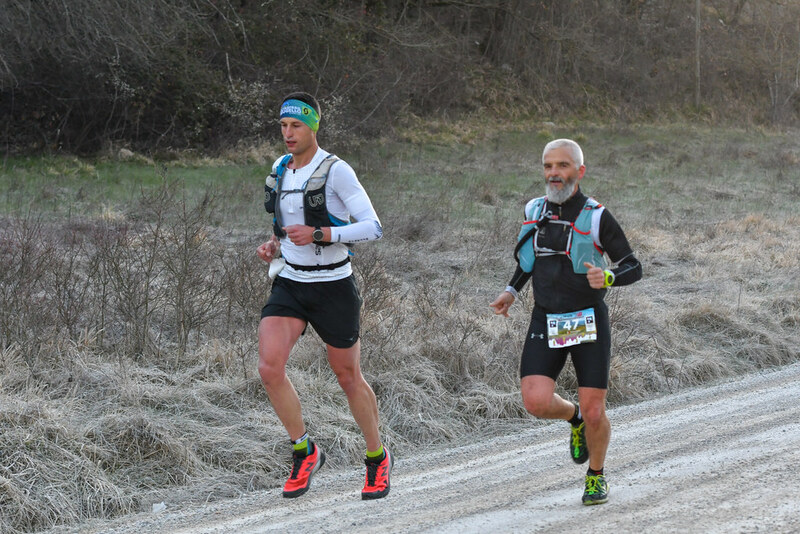 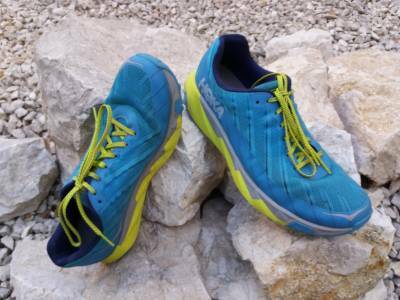 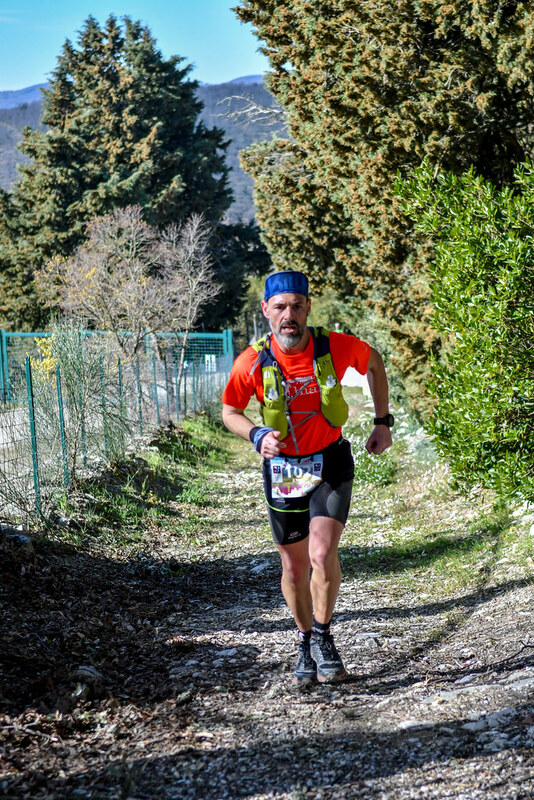 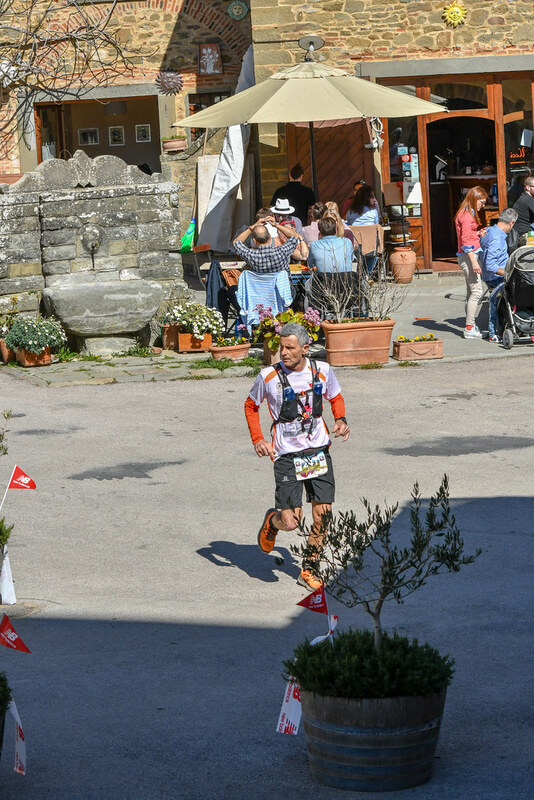 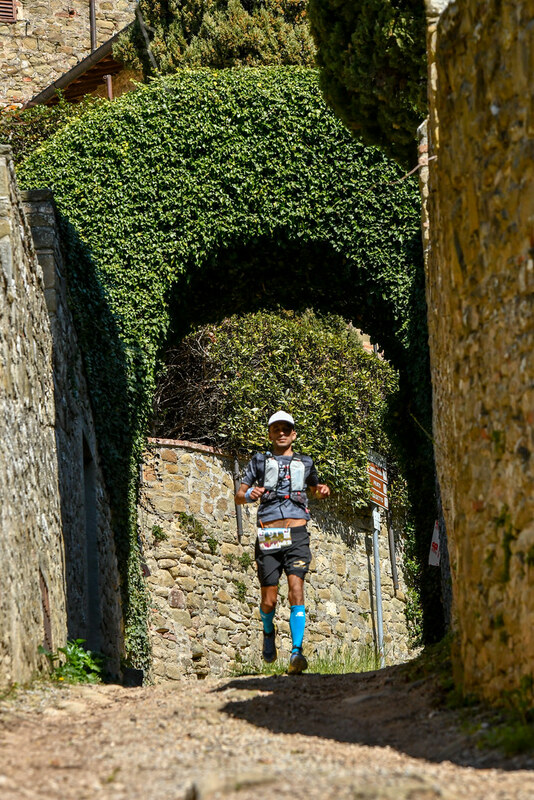 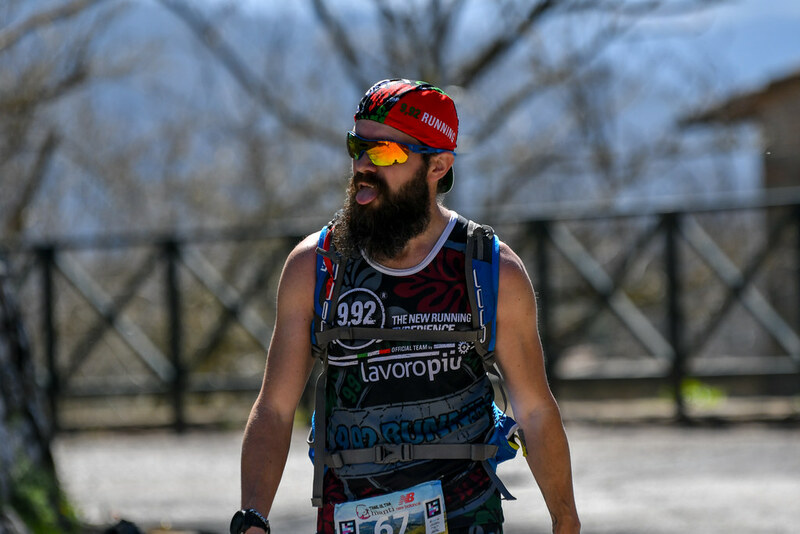 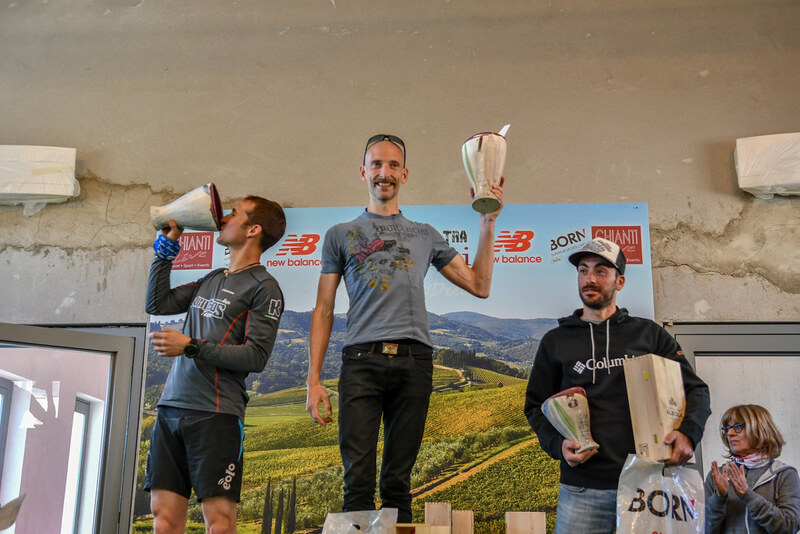 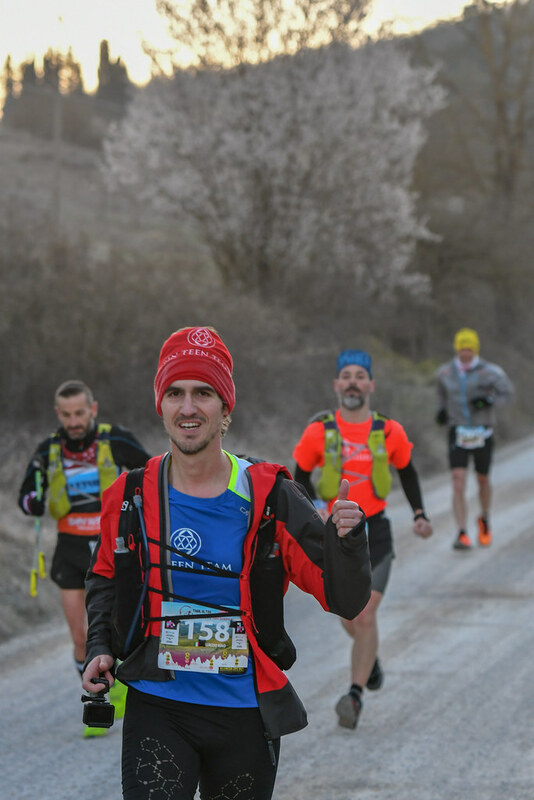 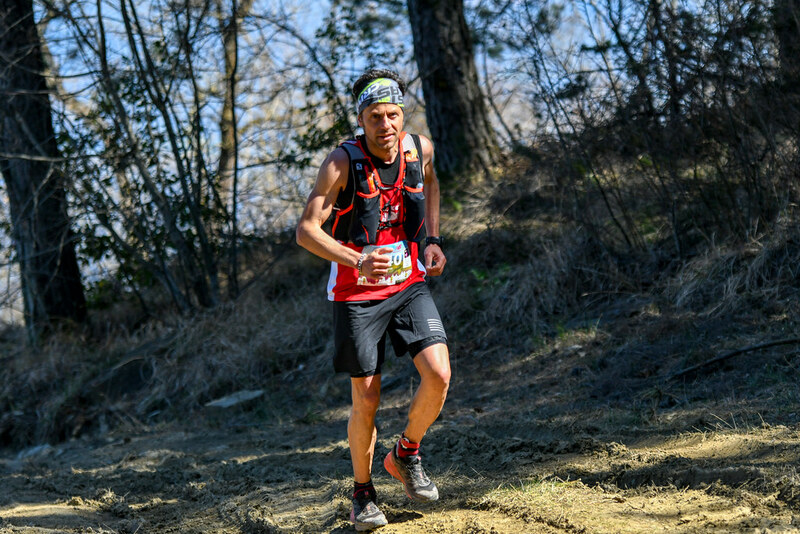 In the middle long race of Chianti Trail Ultra (CHT - 37K) the British Thomas Payn climbed the first step of the men's podium with a time of 02.49.32 (track record), the second was the Italian Mauro Previtali on 03.05.43 and the third the also Italian Lorenzo Naldi, with time 03.10.51. 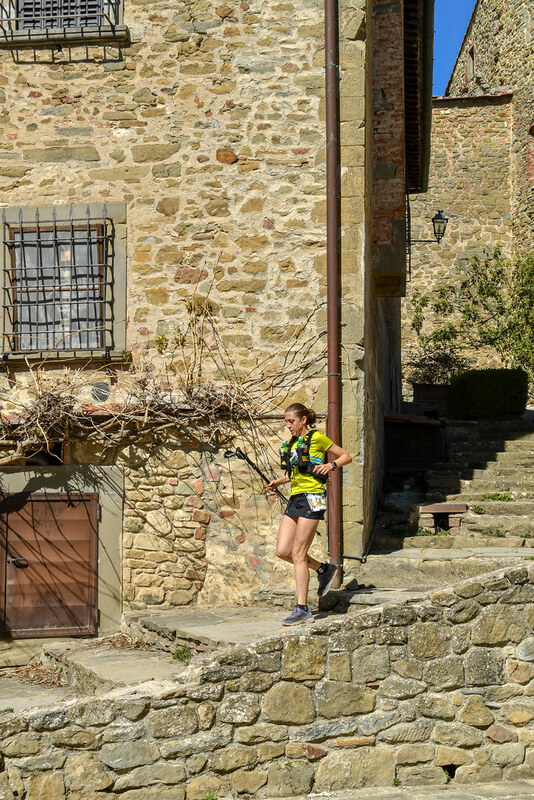 The first woman was Italian Katia Fori, with a performance of 03.39.35, the Italian Federic Carlotta Montanera was on the second step of the podium (04.01.38), while third came the Italian Giulia Petreni, with time 04.08.08. 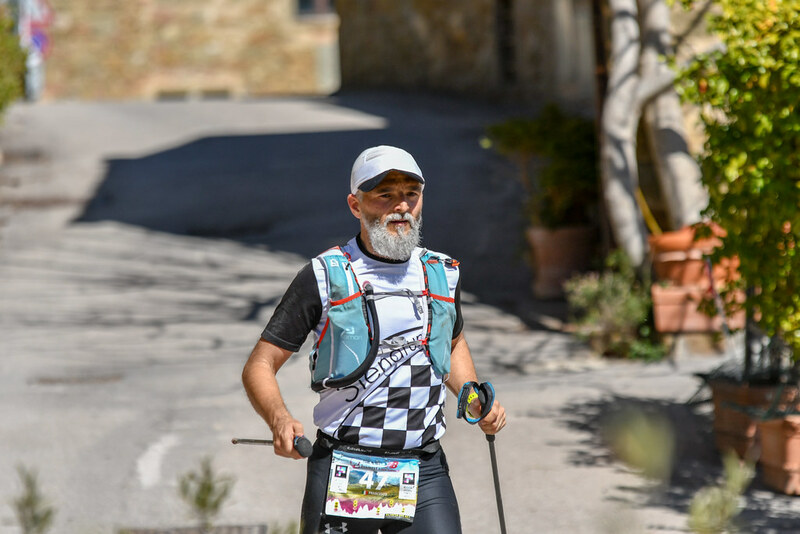 In the short race of the event (CST-15K), the winner was the Italian Alessandro Galizzi, with a performance on 01.07.31, the second was the Italian Dionigi Gianola, on 01.07.39 and the third the also Italian Luca Rosi, on 01.08.53. 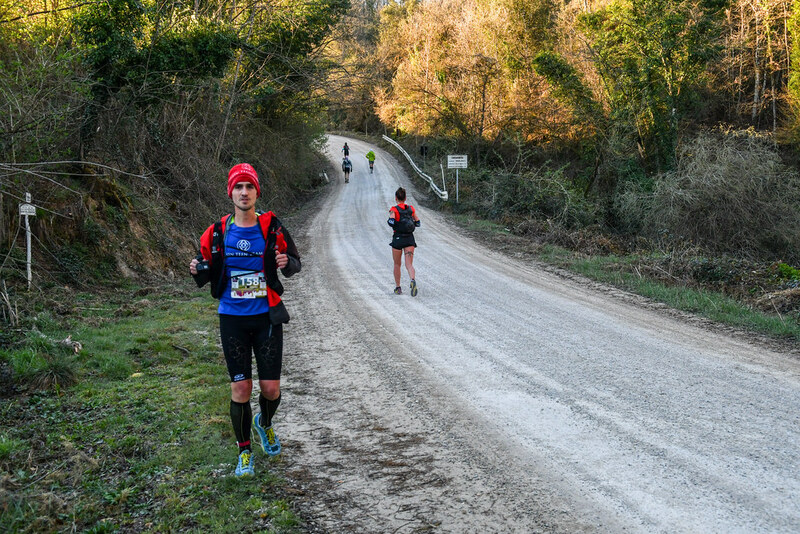 The first woman was Italian Martina Brustolon, with 01.25.14, second the Italian Gianola Serena (01.25.40) and third the Italian Franca Ruzzi, with time 01.28.20. 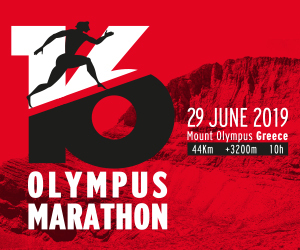 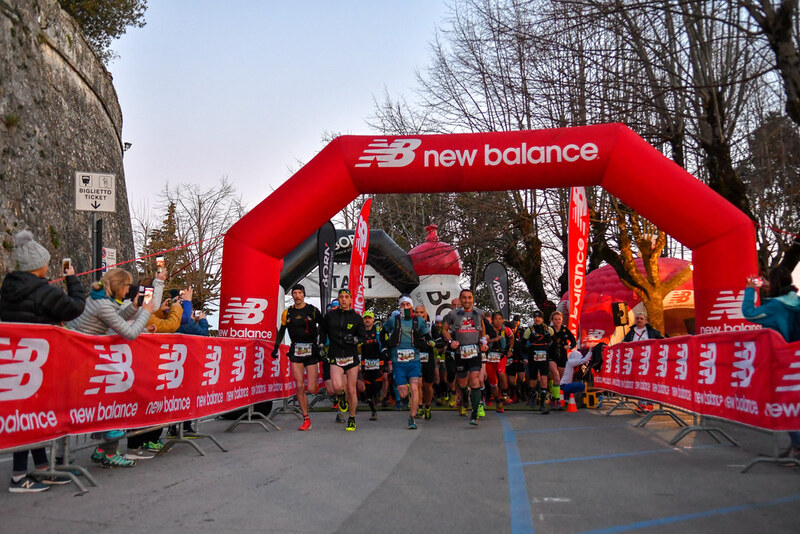 We should note that in all three races of this year's event ran 890 athletes, that is a significant increase of 29% compared to the 640 that started last year. 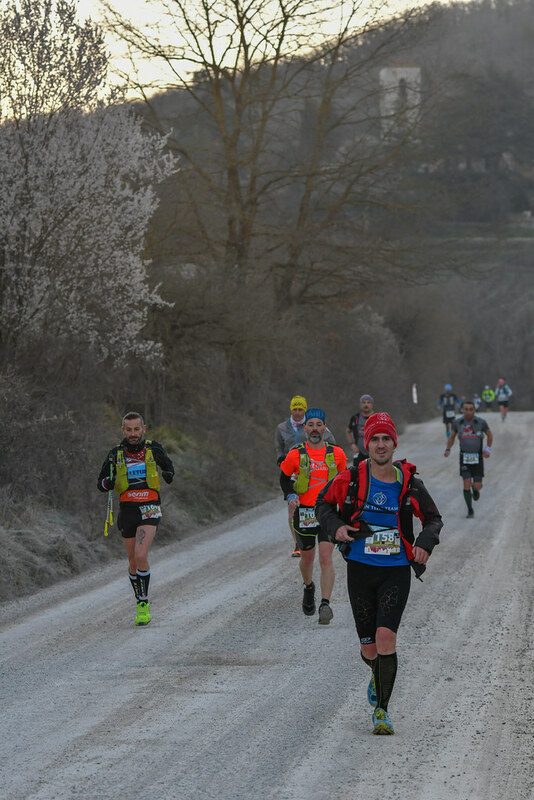 The total results for 2019 can be viewed here: 73K, 37K and 15K. 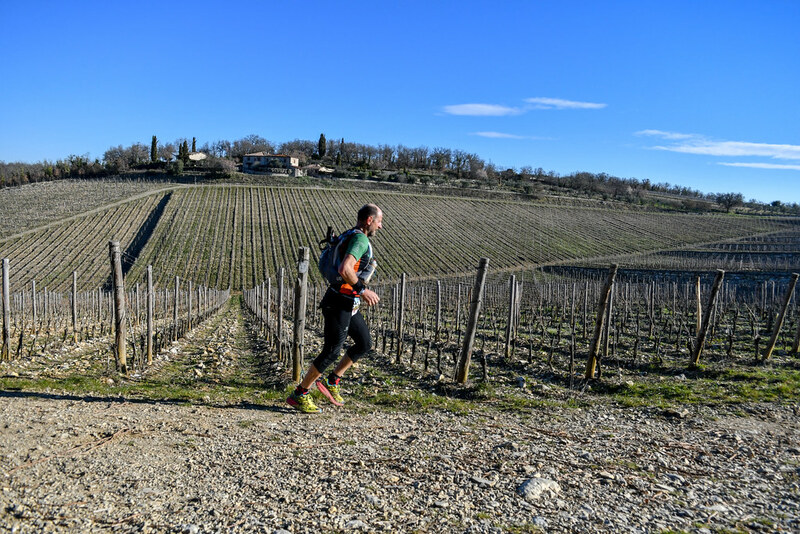 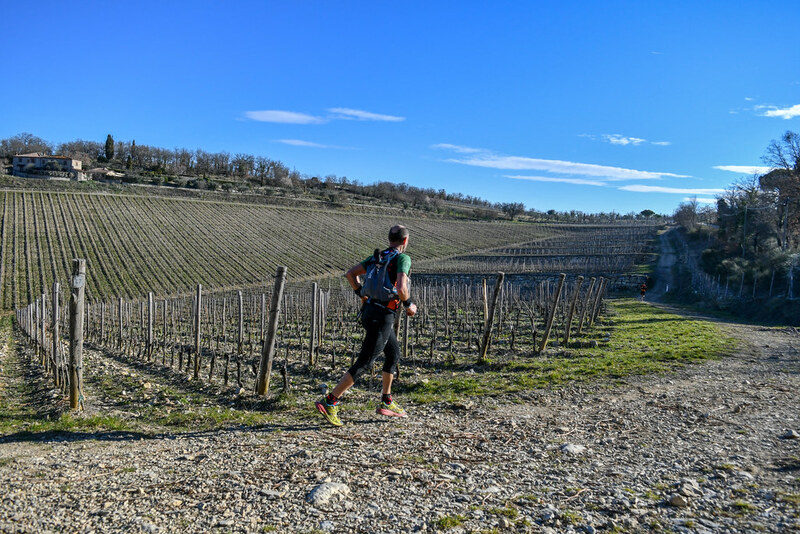 Of course, an ultra-trail event taking place in Chianti, could not only be about running, but also about the very powerful advantages of the region, meaning culture, history, flavors and wine. 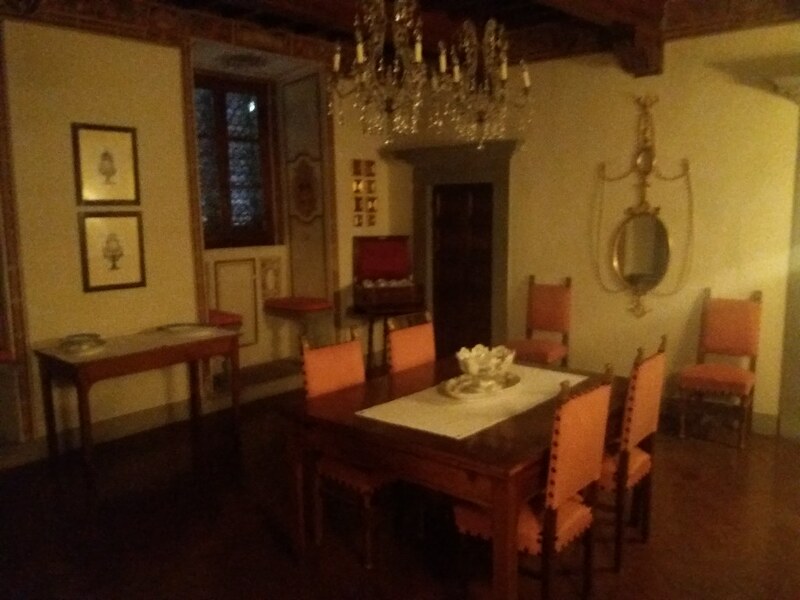 The dinner that took place on Saturday evening after the race at the impressive Chianti Classico House -an old Franciscan monastery turned into a wine museum- was for us a trip to the special tastes of the area's food and wines through a warm family atmosphere. 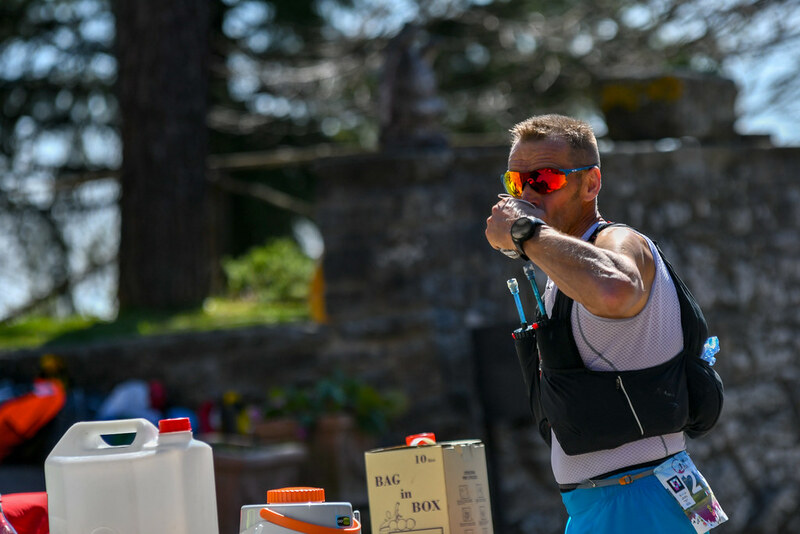 The next morning's ULTRA WINE was really exciting as an experience. 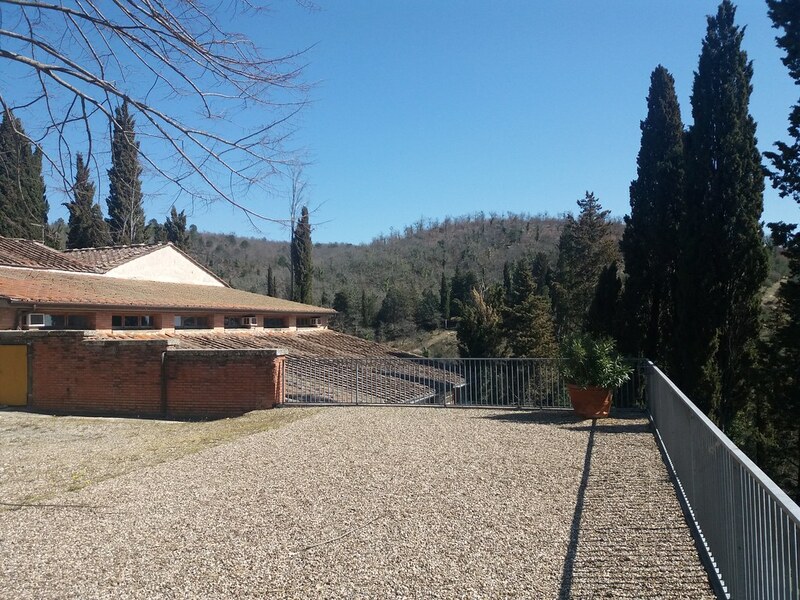 Each one of us took a glass of wine and followed a route that led him to thematic rooms, where he learned how to distinguish the aromas, the taste and the history of the vineyards of the area. 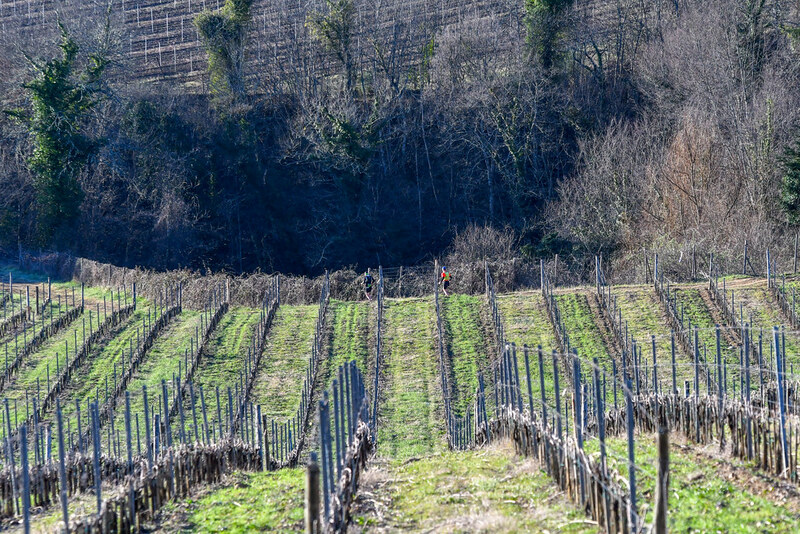 After our tour we were actually able to discern the wine we had in our glass! 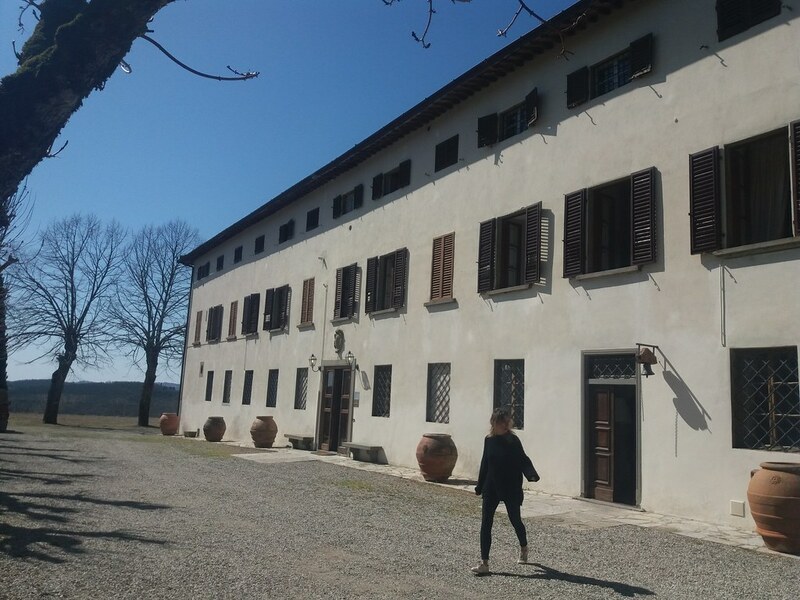 There followed a seminar in which we analyzed everything (with tasting tests) for the Chianti wines, their aging and the area's vineyards. 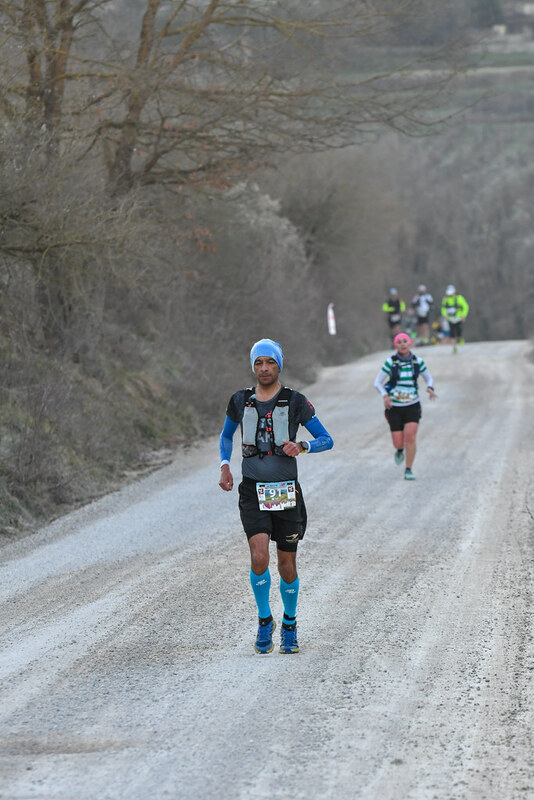 A really unique experience that adds many points to the non-racing part of the event. 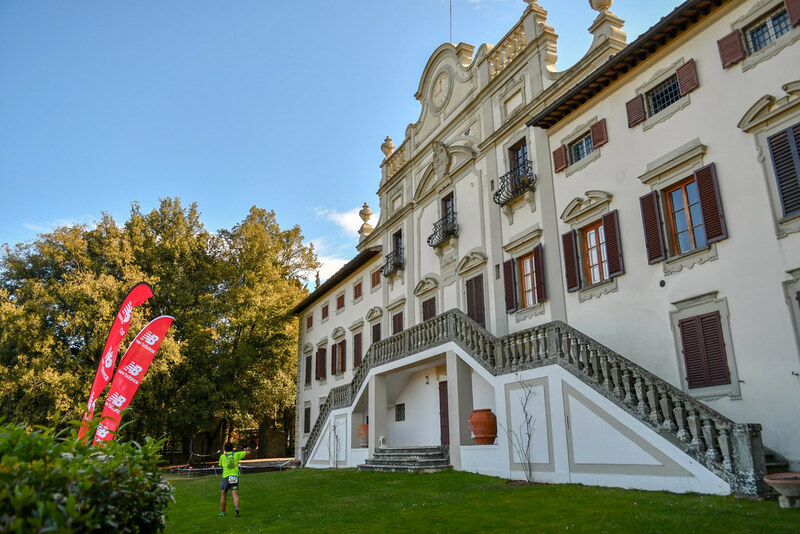 We reserve a special mention to the place where we were hosted at this year's event, Villa Vistarenni. 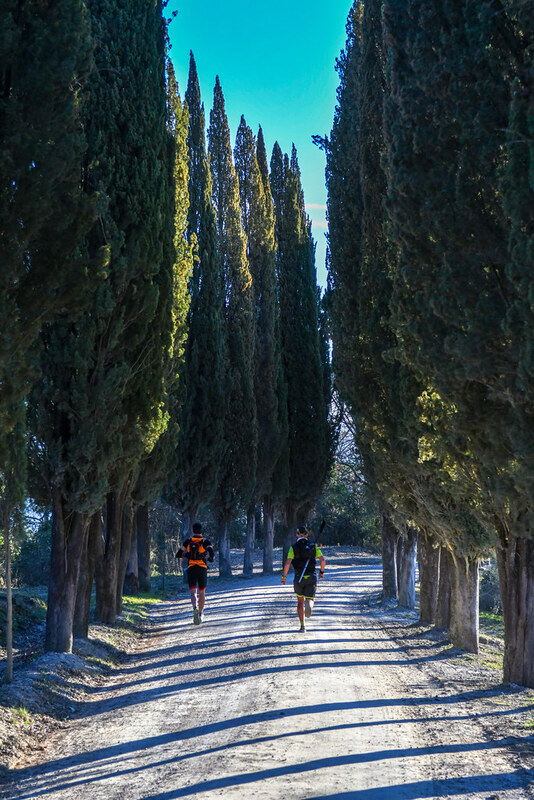 The villa, apart of being a sponsor of Chianti Trail Ultra, is also a historical and architectural jewel in Tuscany. 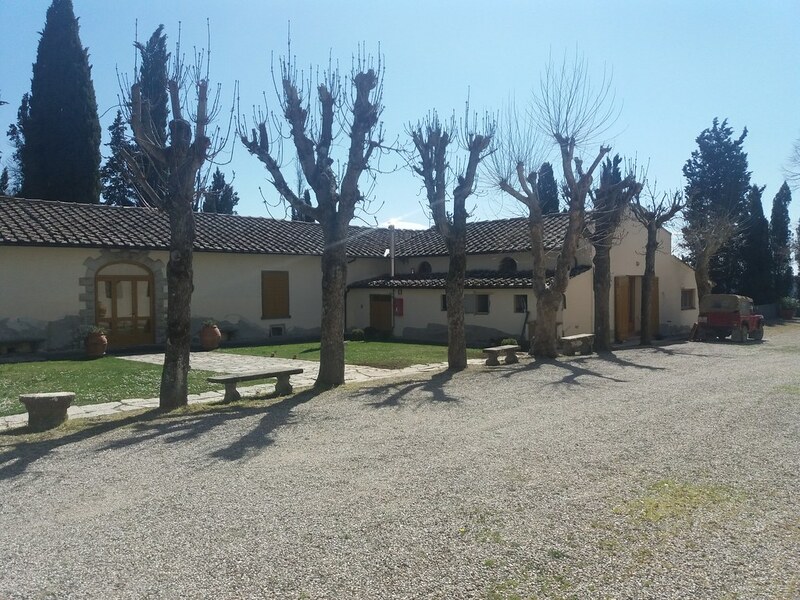 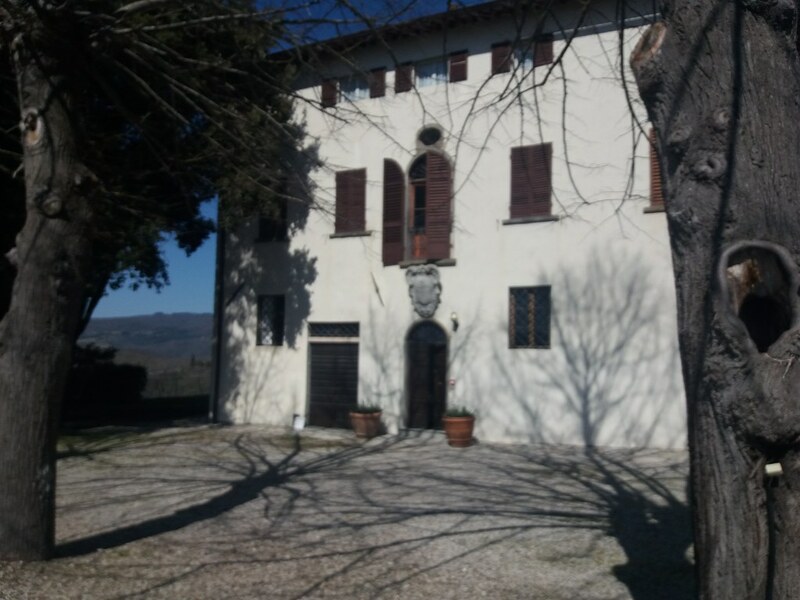 Its great history began in 1700 as the property of the Cecchini family from Panzano. 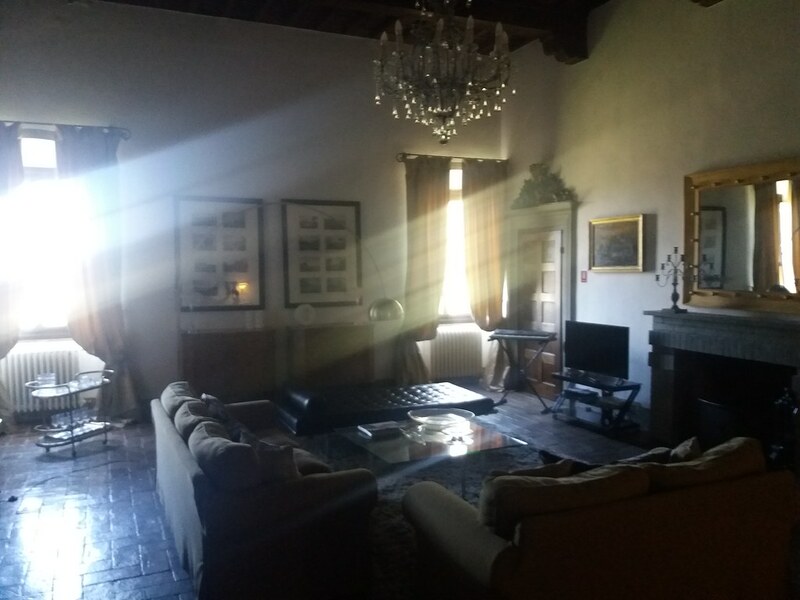 In 1852 it was owned by one of the most important Florentine families, the Strozzi family. 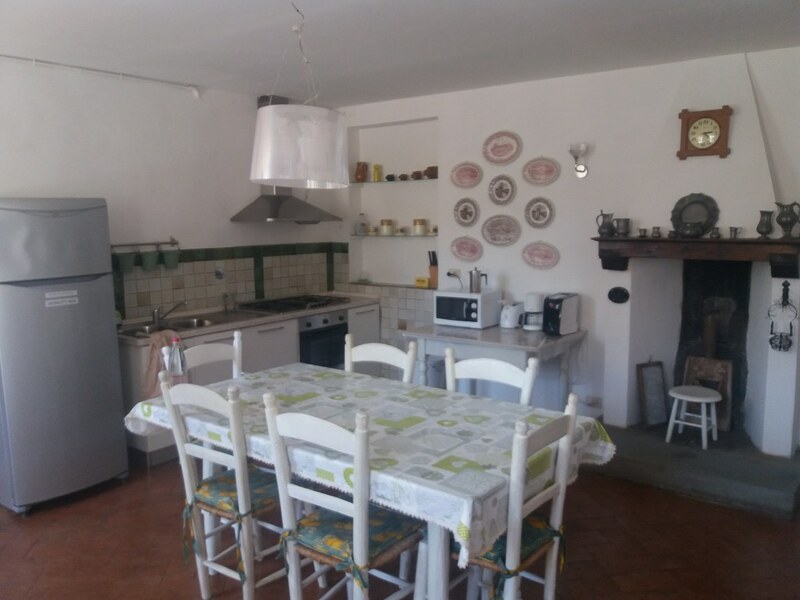 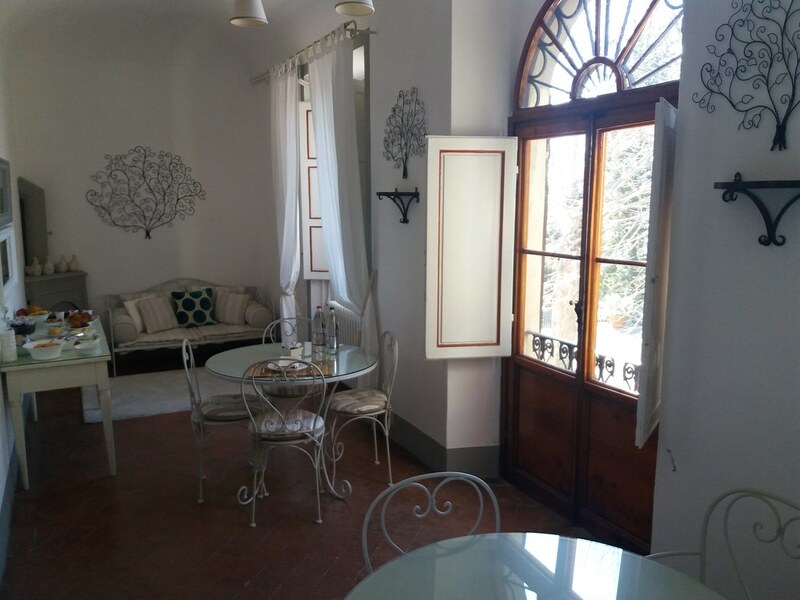 In 1892, it was in the possession of Baron Giorgio Sonnino, and during the following decades it expanded, acquiring multiple uses, while today it is run as a hostel owned by the Tognana family. 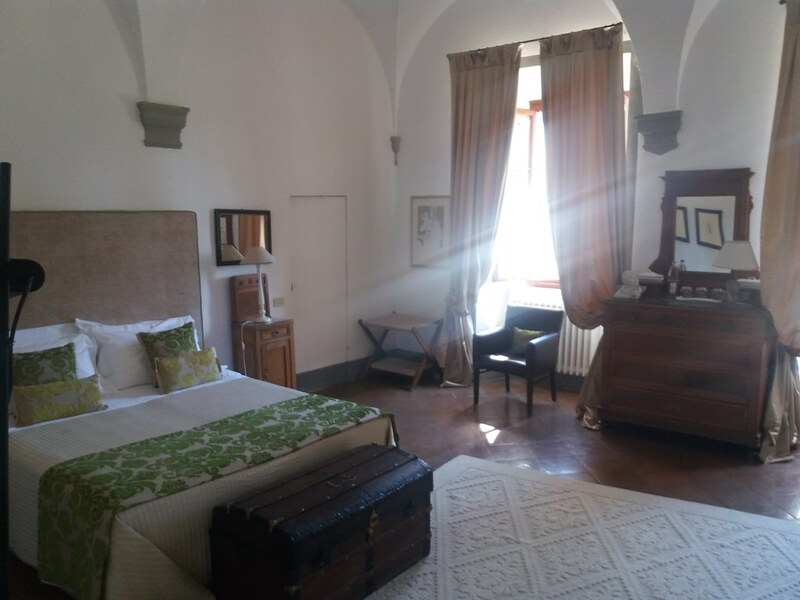 A tour of its interior offers a reflection of the history of this place, while at the same time it provides all the comforts for a luxurious hospitality. 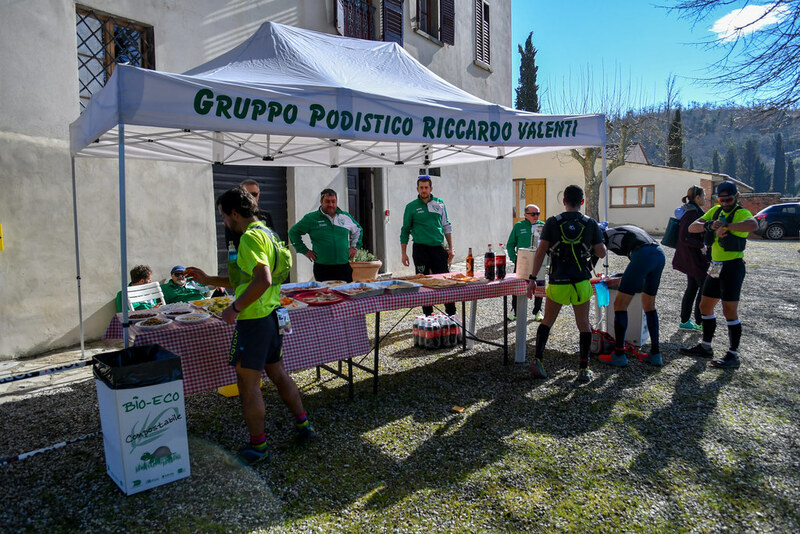 During the race a food station stood at the outside space of the villa. 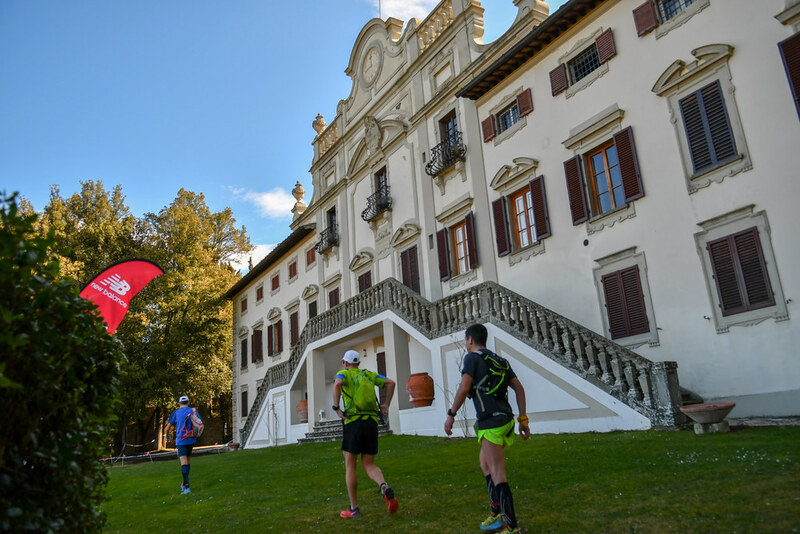 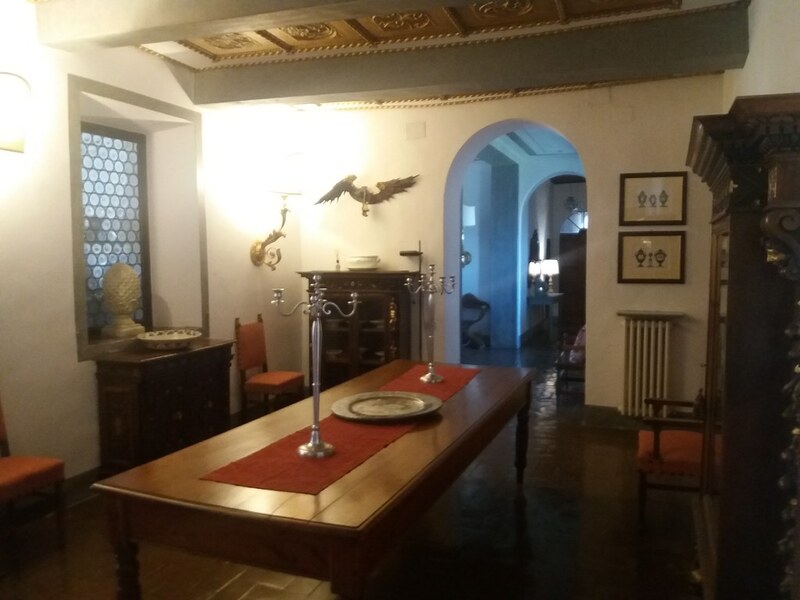 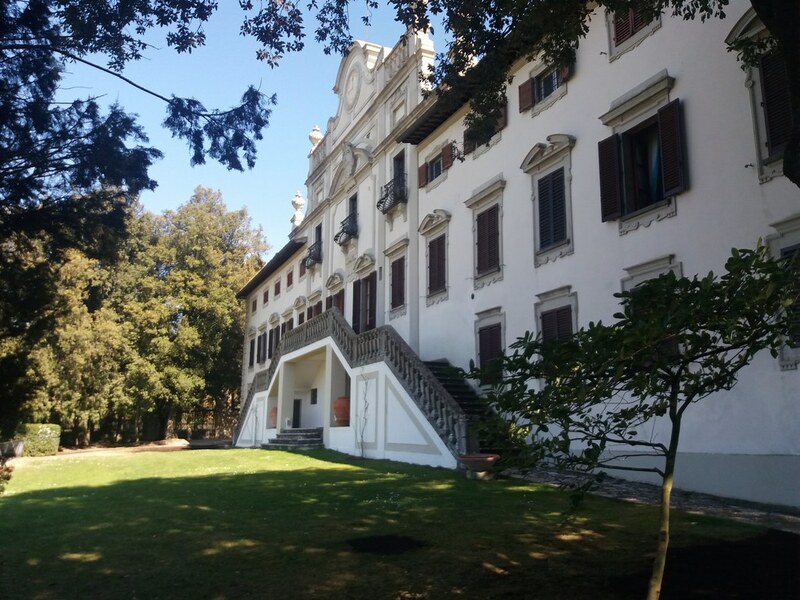 We have actually had some preliminary discussions about next year concerning an “Advendure discount package” for Chianti Trail Ultra 2020, which also includes Villa Vistarenni in our plans. 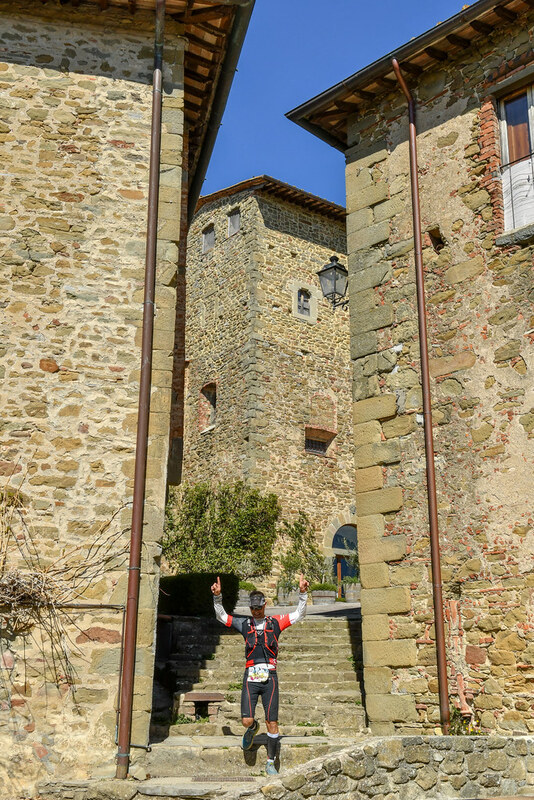 At the end of the article you can see a gallery of photos from the inside and outside of the villa, as of course from the race. 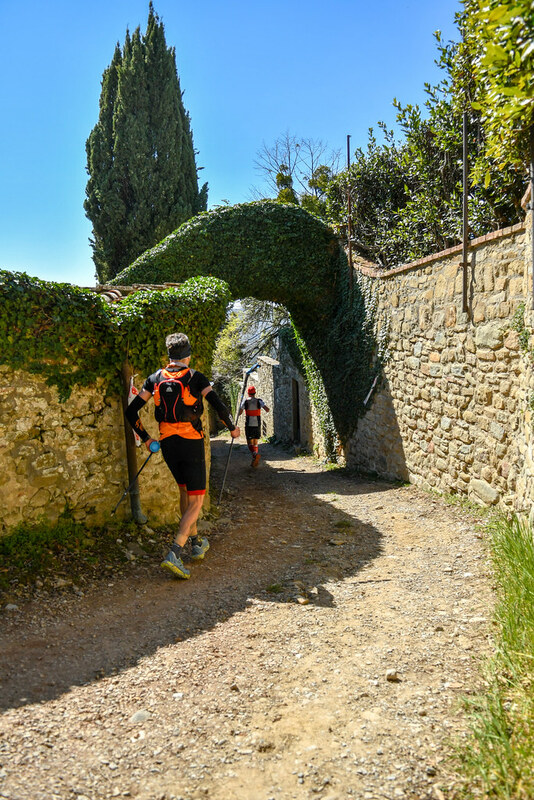 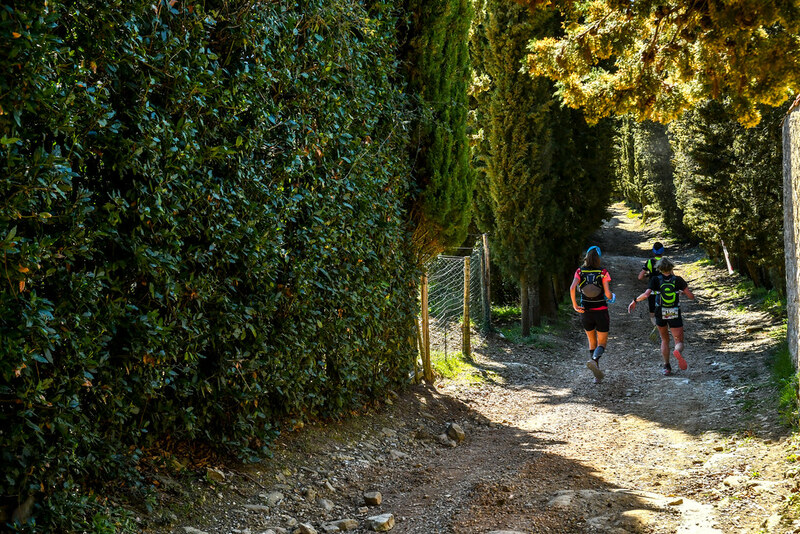 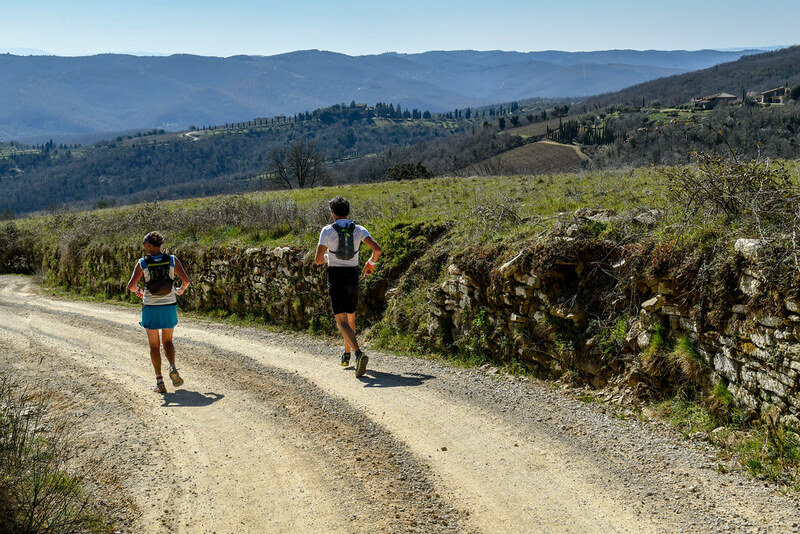 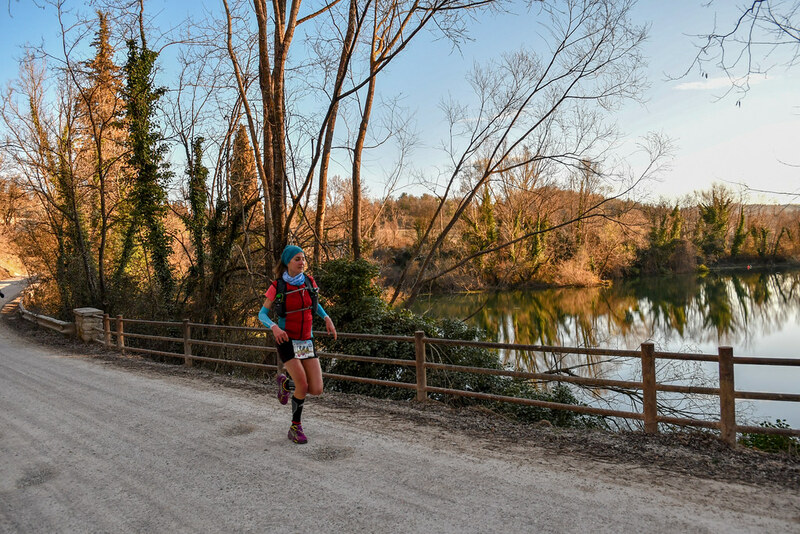 Run your Chianti dream is the motto of the event and, judging by our impressions of our participation in the first two years of Chianti Trail Ultra, it is absolutely perfect. 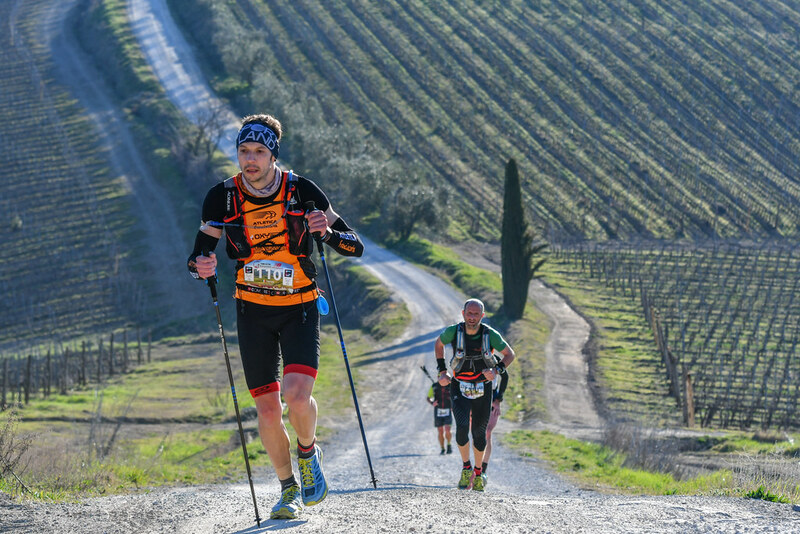 Tuscany and the Chianti region are among the places that definitely deserve to be visited in one's life, and by taking part in one of the races of the event, it is a chance to enjoy a lot of emotions, but also to explore the history, culture, gastronomy and excellent wines of the region. 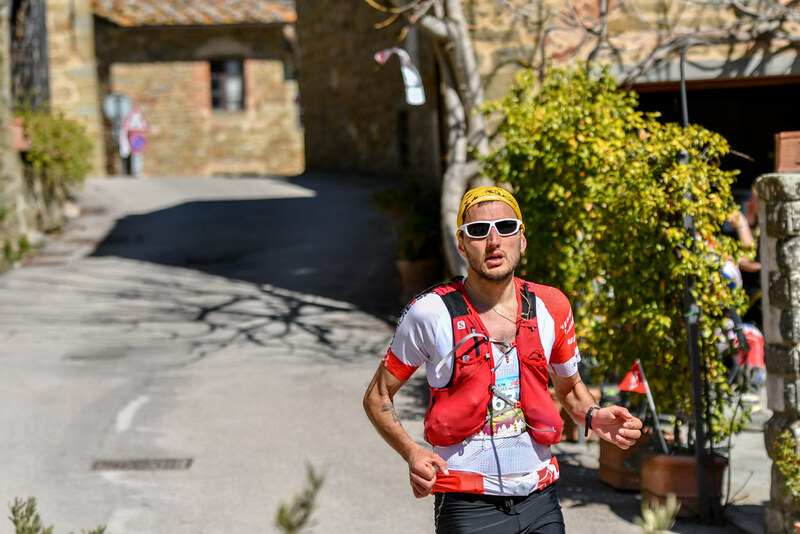 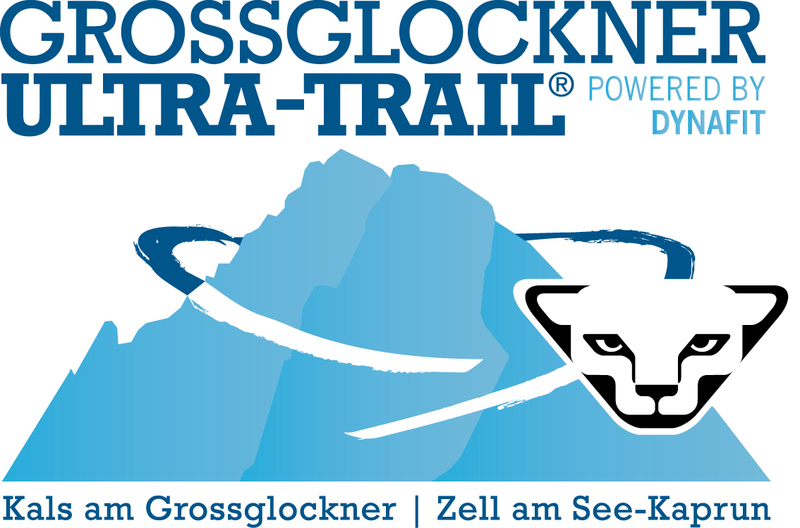 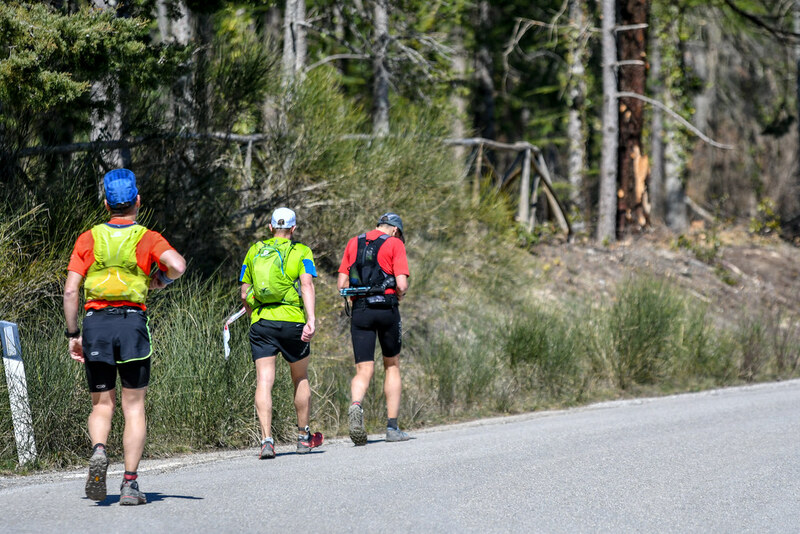 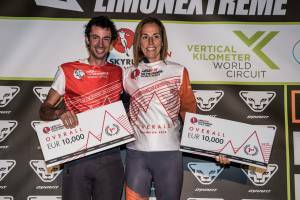 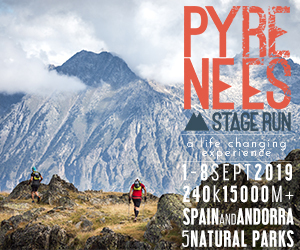 Indeed, as stated by Mr. Matteo Matteuzzi, head of the event, next year there will be some changes, such as increasing the 37K race to 42K and improving the 73K race at some points to make it more exciting and with a higher positive altitude. 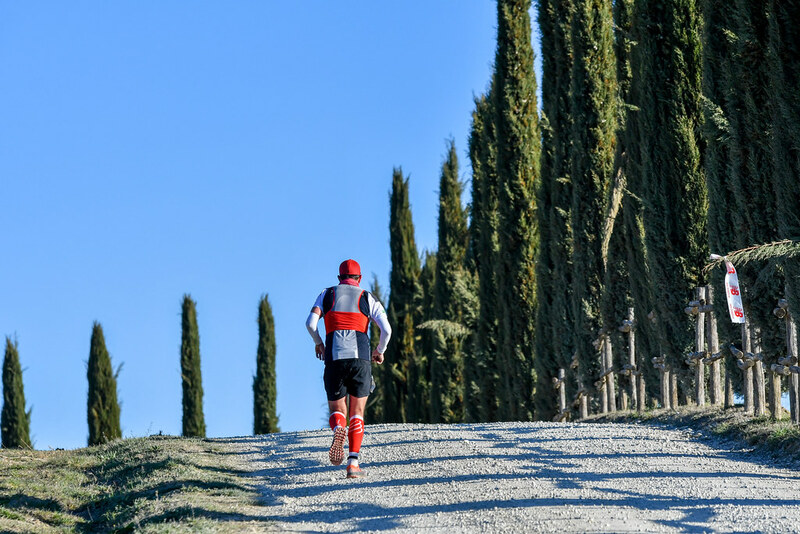 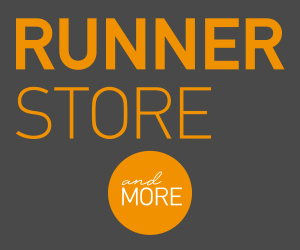 Advendure will be official sponsor of Chianti Trail Ultra in 2020 as well and, as we have already mentioned, we are already working with the organizers to create a package for Greek athletes who will want to live with us the "Chianti Dream". 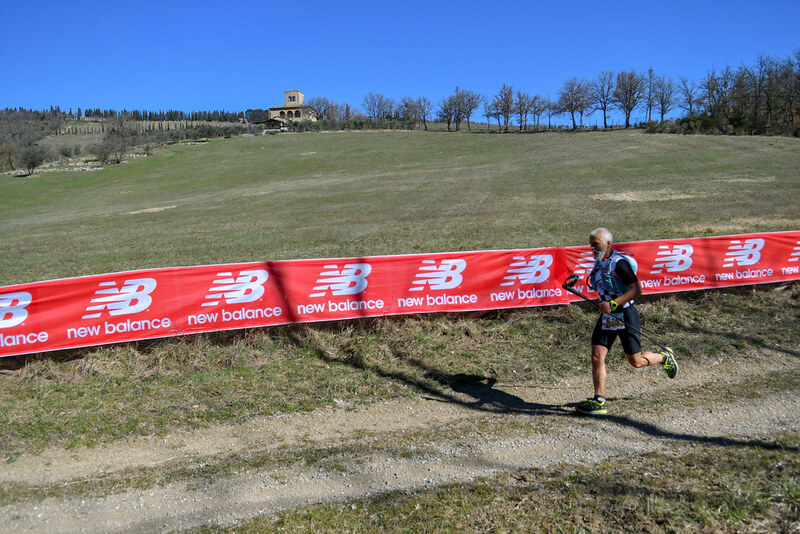 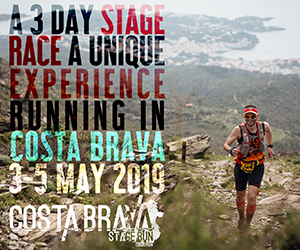 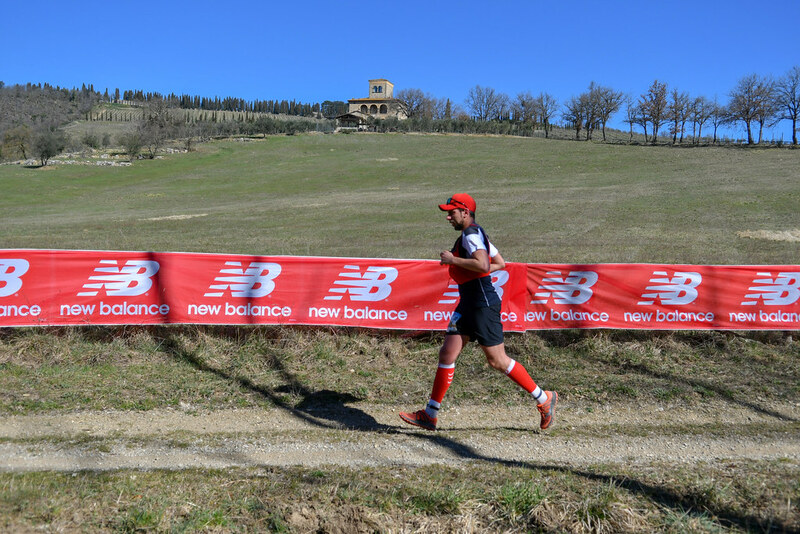 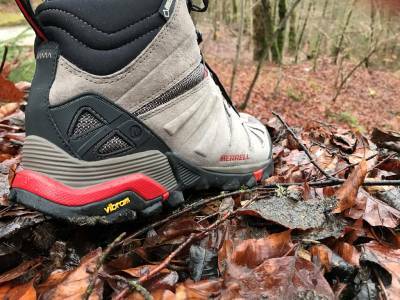 Chianti Trail Ultra 2019: Inscriptions start on September 1st, Partnership with New Balance, all-inclusive packages for 2 or 3 nights! 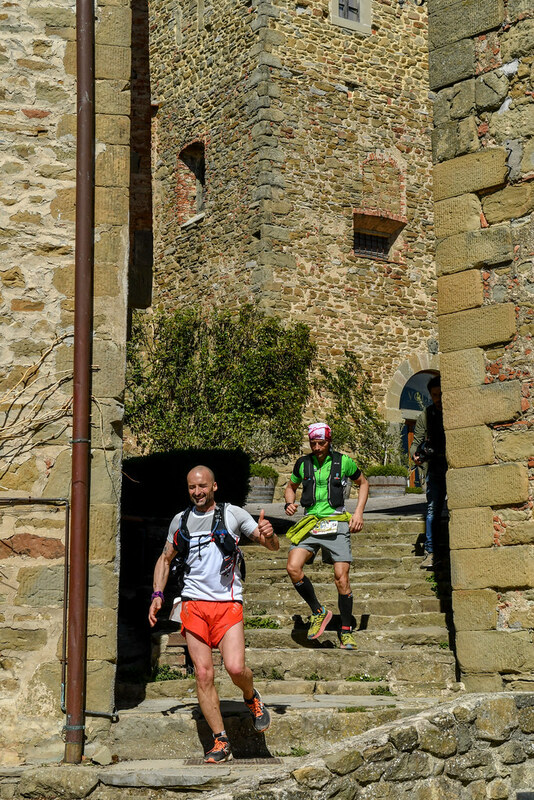 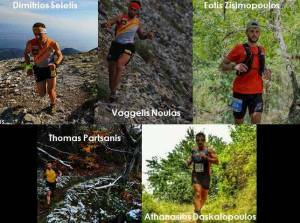 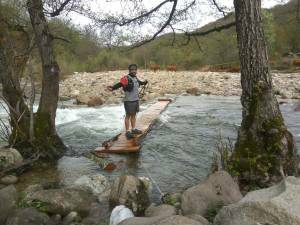 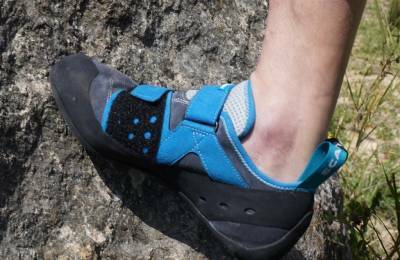 Chianti Ultra Trail 2018: Τρέχοντας στα μέρη του Μαύρου Πετεινού!